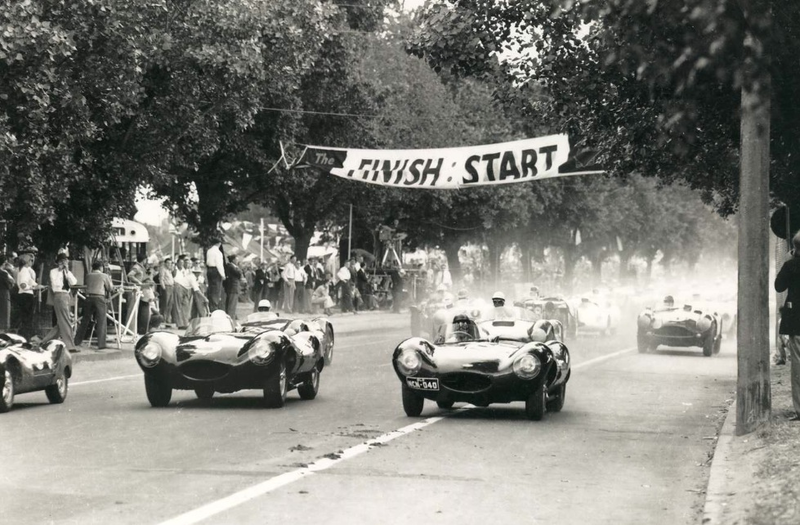 Early in the race it was clear the Jaguar C Types, Ferrari’s 340/375MM and Alfa Romeo 6C/3000CM were the cars in the hunt for outright victory, the Lancia D20’s and Talbot T26GS were outclassed. 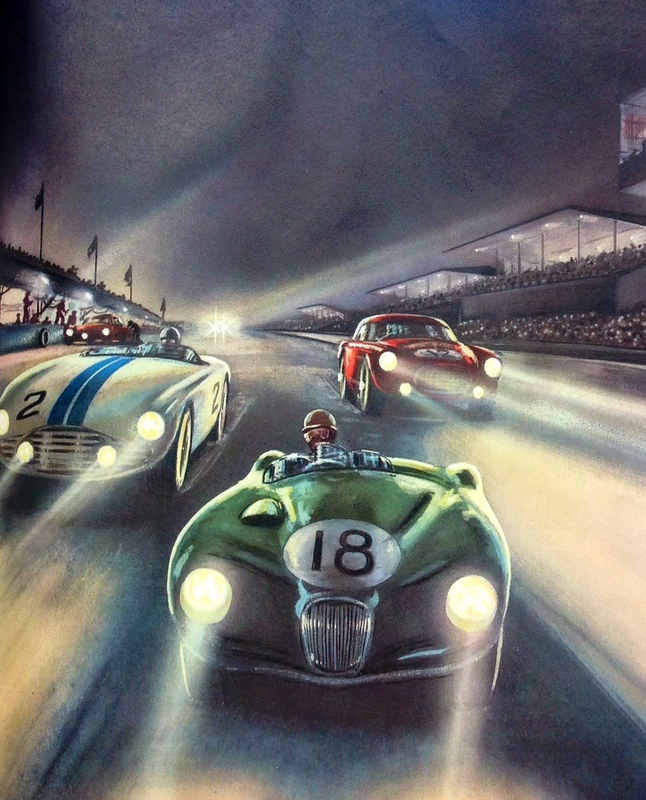 As darkness fell the Ferrari/Jag battle intensified between the Ascari/Villoresi 375MM and Rolt/Hamilton C Type with the Alfas not too far back. 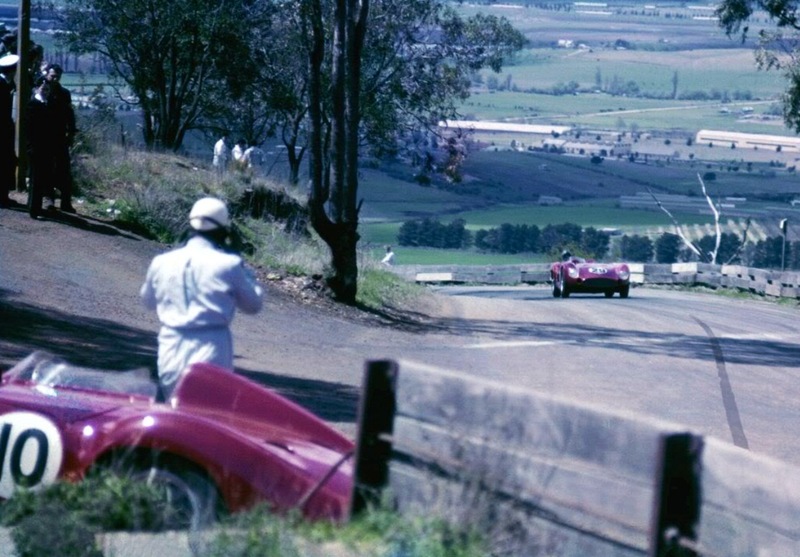 Rolt and Hamilton led, the best placed Fazz was hampered by a sticking clutch and a thirst for water. 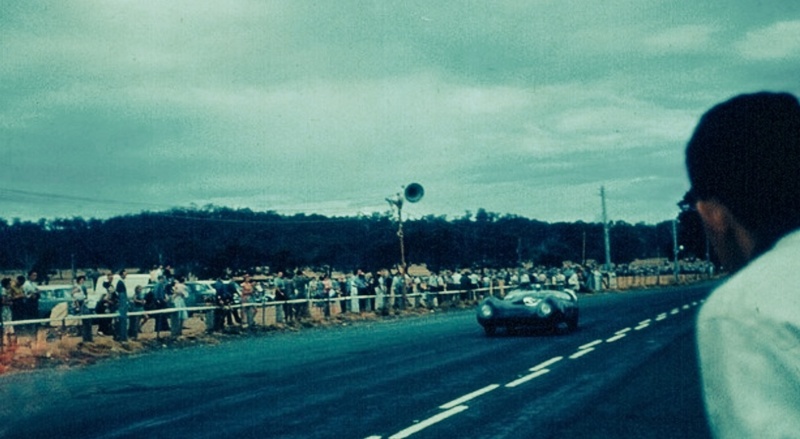 At dawn the same two cars led, with Moss up to 3rd in the car he shared with Peter Walker, as the mist cleared they still led. 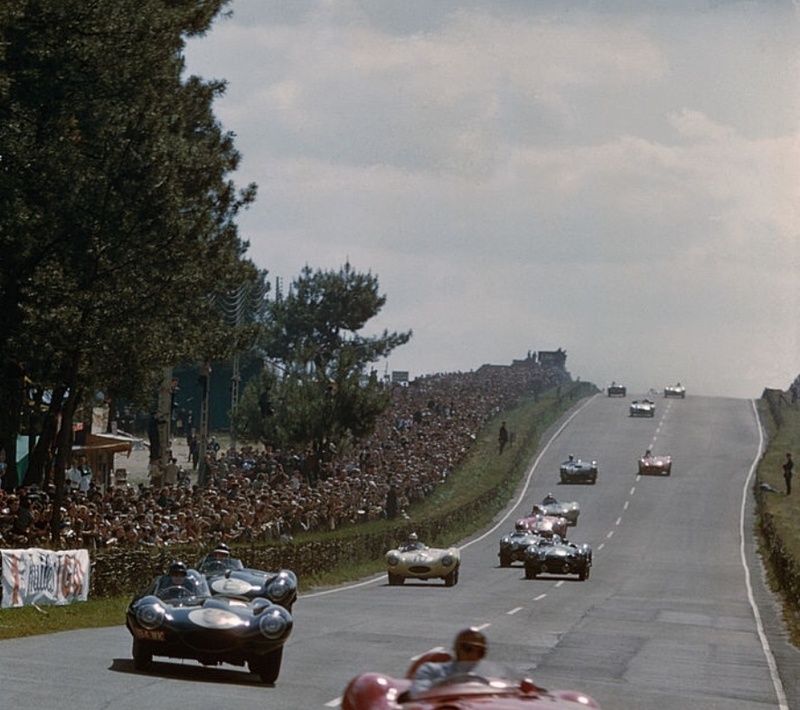 By 9am the lead Ferrari had dropped back to 5th, retiring at 11am. 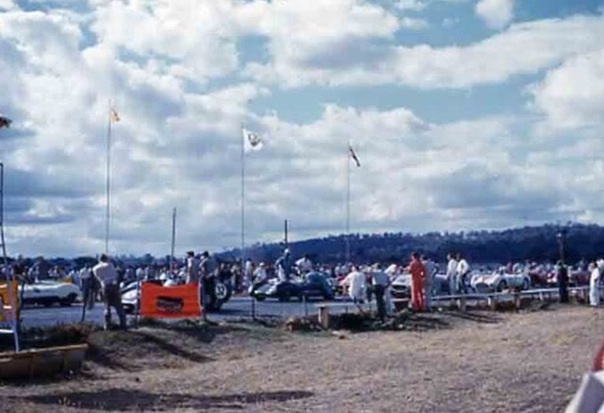 The works Paolo Marzotto/Giannino Marzotto Ferrari 340MM challenged the lead Jags and Cunningham finishing 5th behind the winning car driven to the finish by Duncan Hamilton with Moss/Walker 4 laps back with the Phil Walters John Fitch Cunningham C5-R Chrysler 5.4 litre V8 a lap further adrift in 3rd. 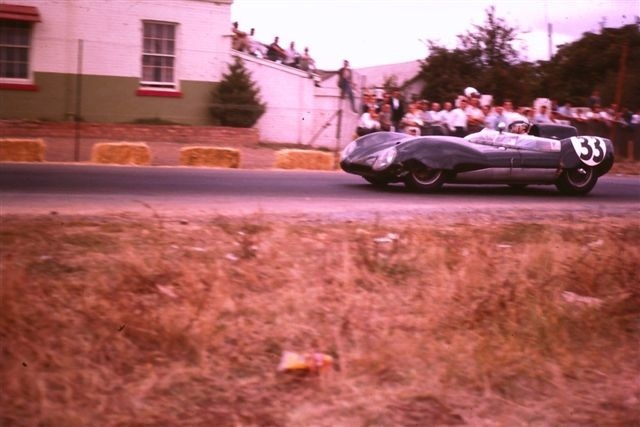 The third works Jag C Type of Peter Whitehead and Ian Stewart was another 2 laps back having driven a pace to finish throughout. 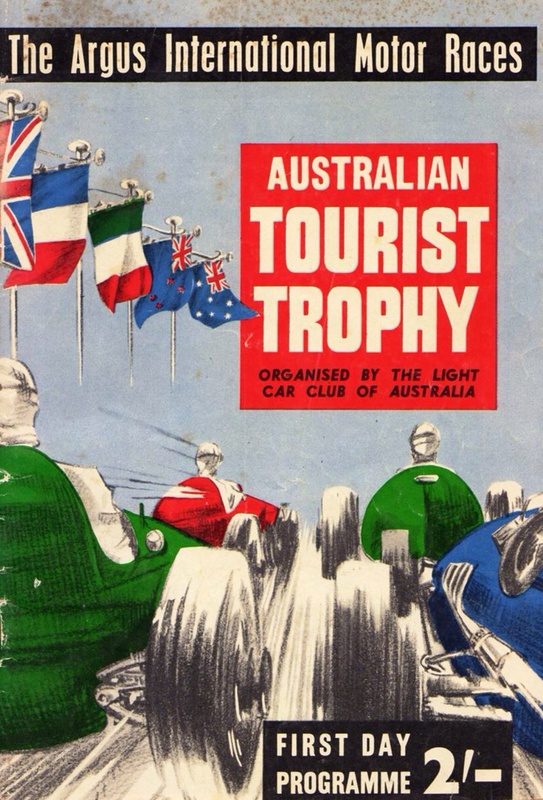 Love this carefully posed shot, perhaps used to promote the meeting the following day. 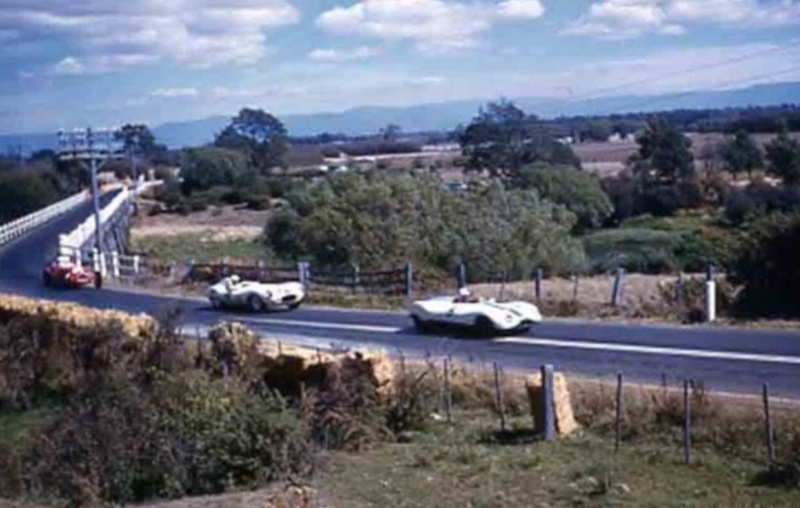 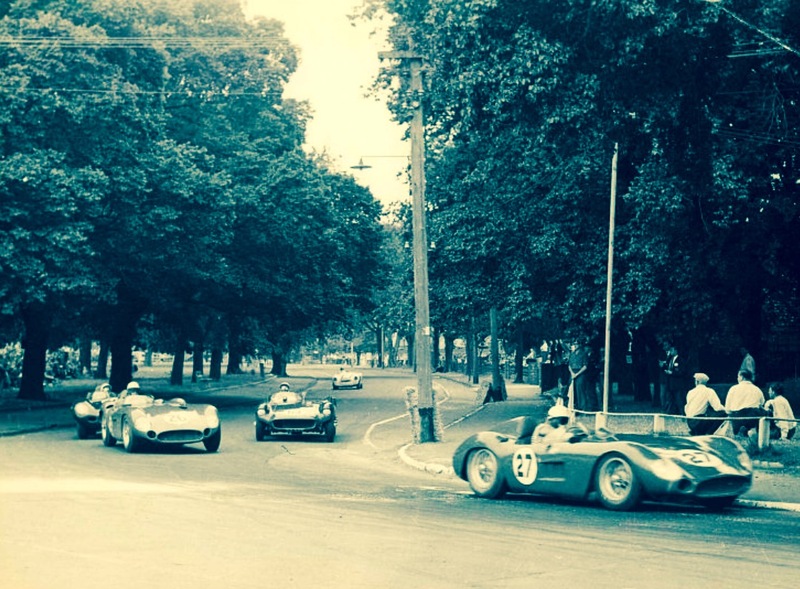 Its practice for the 7 May ‘Silverstone International’ sportscar race, a 190Km event won by Reg Parnell from Roy Salvadori, both aboard works Aston DB3S’, then came Rolt, Hamilton and Mike Hawthorn in works D Types. 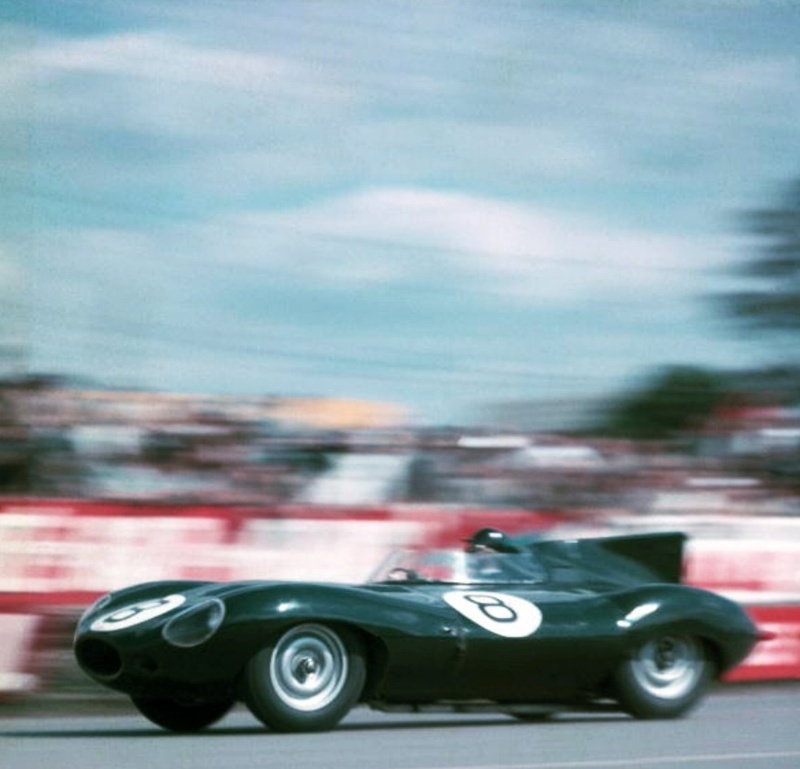 Mike started from pole and set the fastest lap. 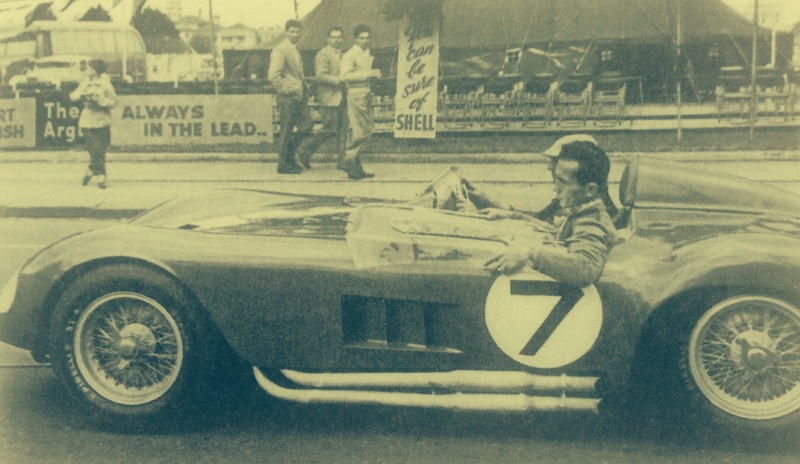 Here he is in the factory ‘D Type’ during the 1955, horrific Le Mans event. 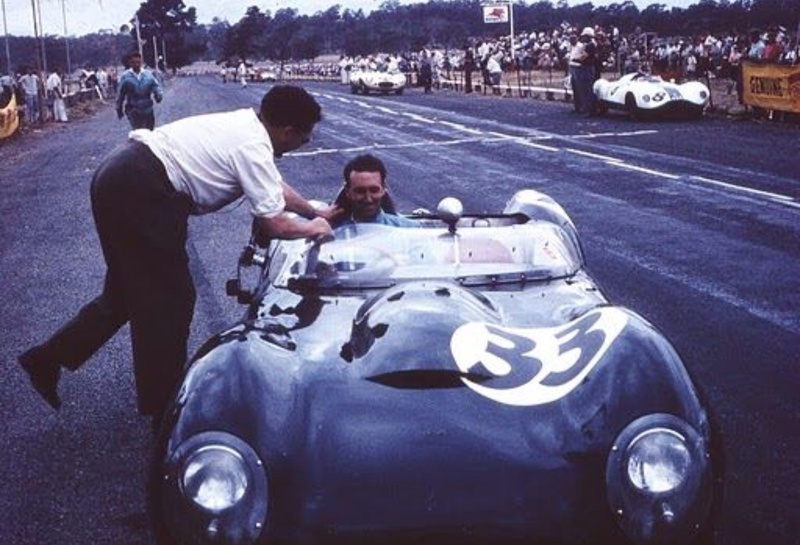 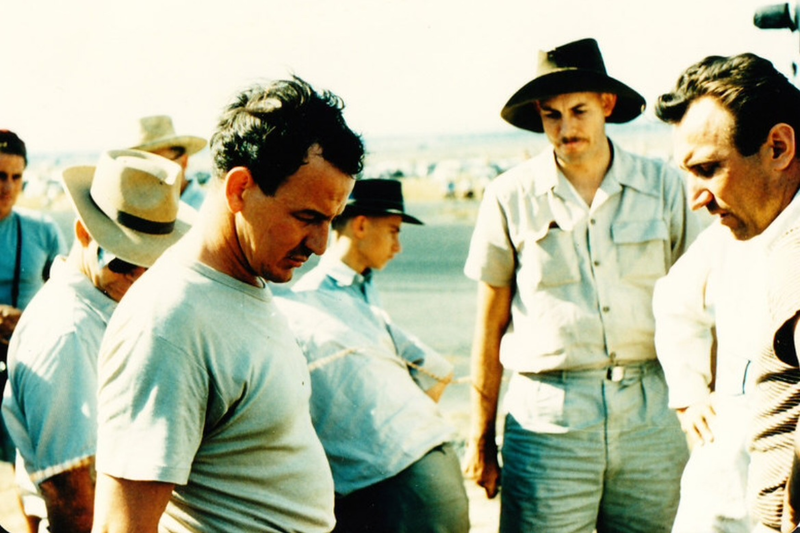 He co-drove Don Beauman’s car the pair failed to finish when Beauman ‘beached the car atop the sand dunes’ at Arnage. 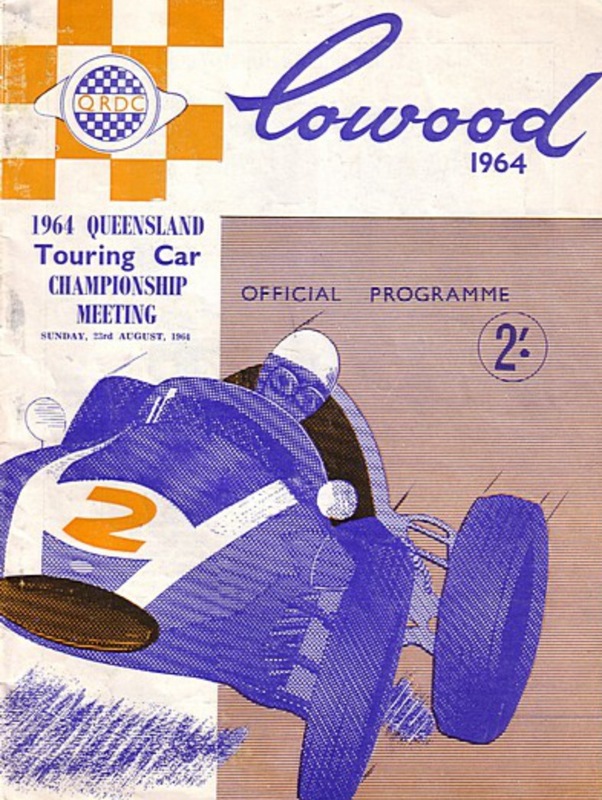 Mike Hawthorn and Ivor Bueb scored a hollow win in ‘XKD 505’. 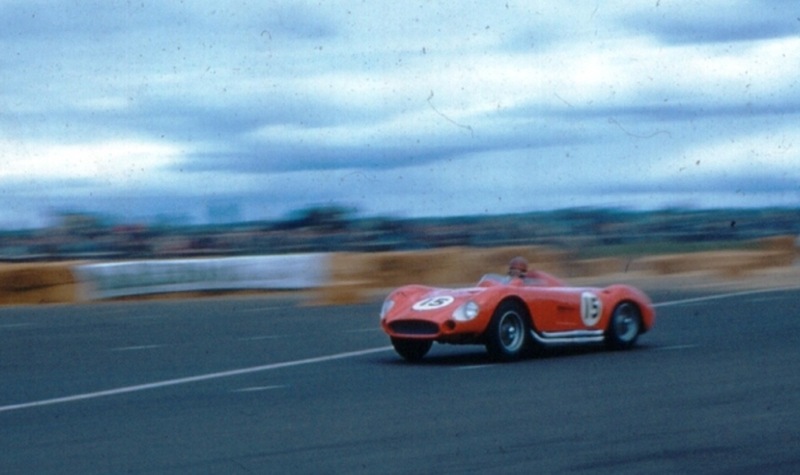 Before he joined Jaguar, as the 500cc F3 movement grew, and with a fellow LeaF employee Dewis designed and built a neat Rudge-powered F3 car, the DNC. 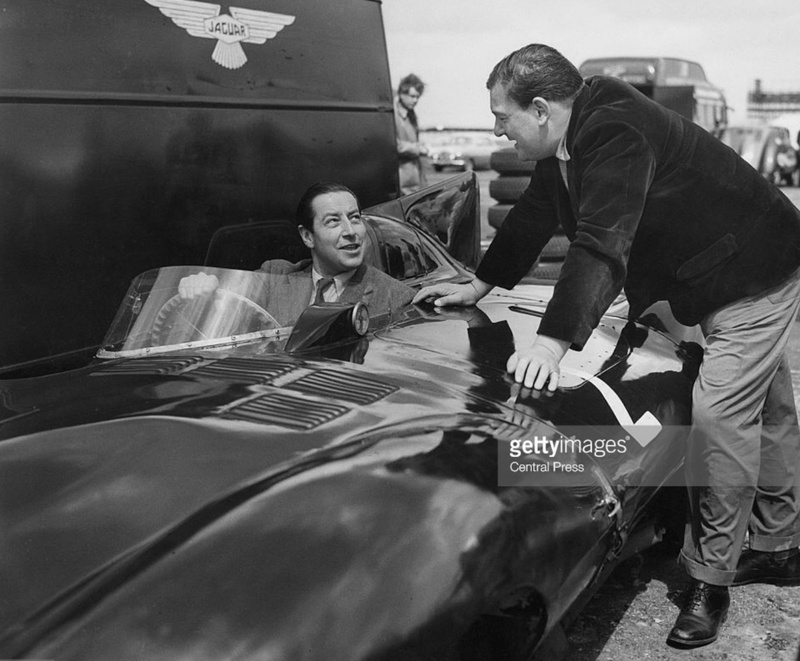 In its first race at Silverstone in July 1950, he qualified on pole and led for two laps before engine failure. 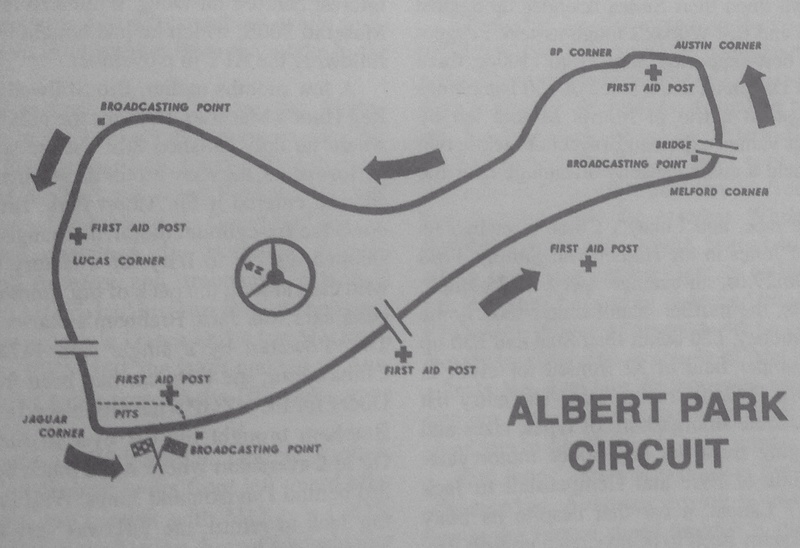 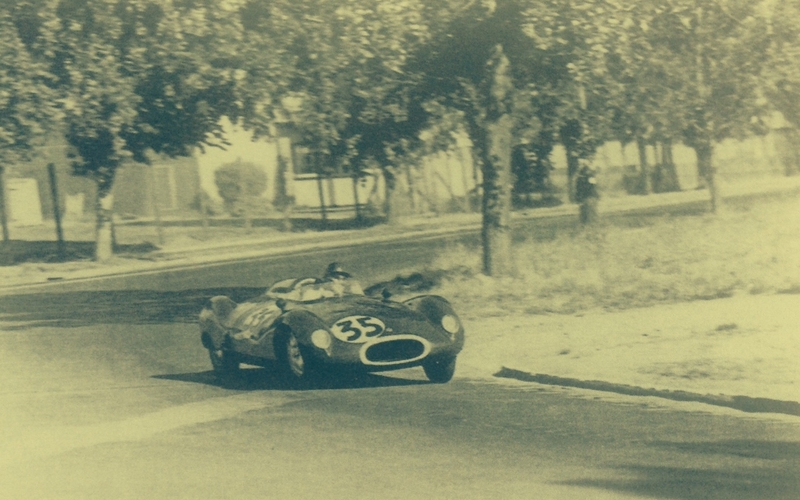 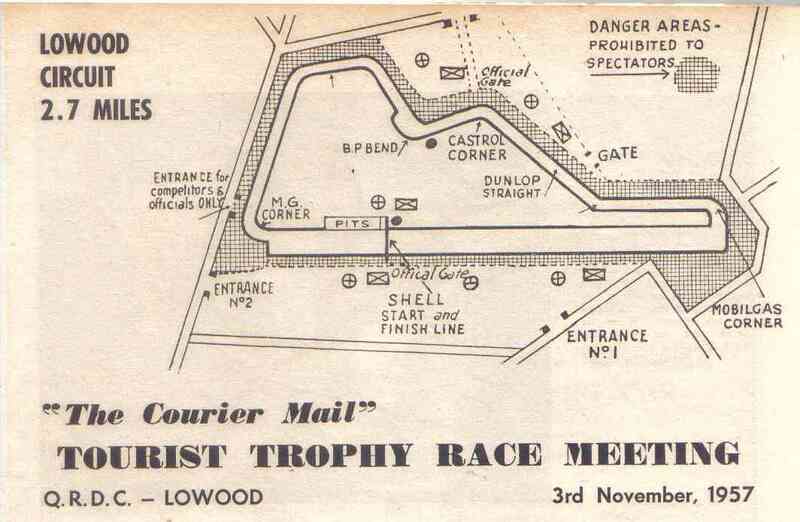 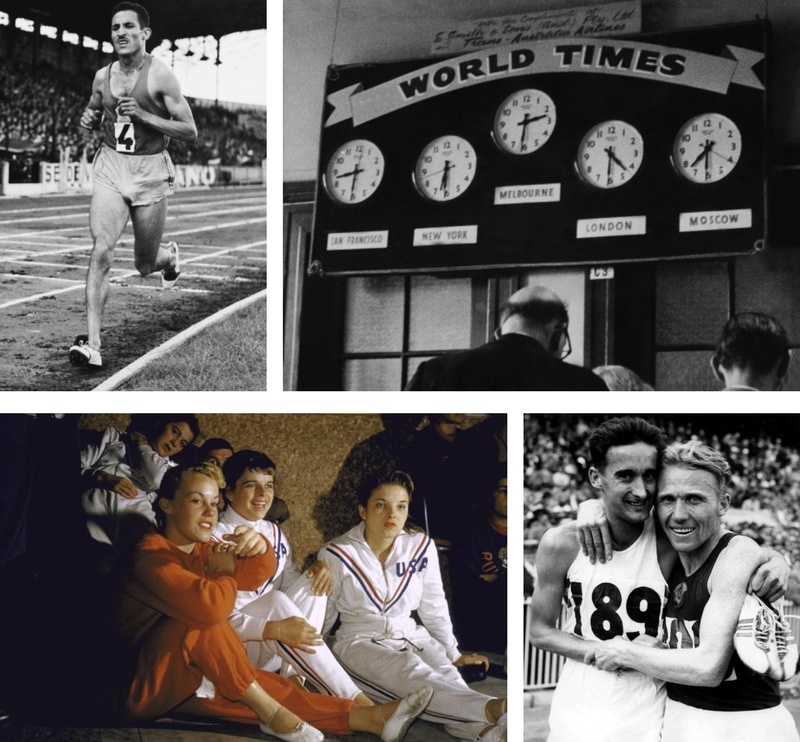 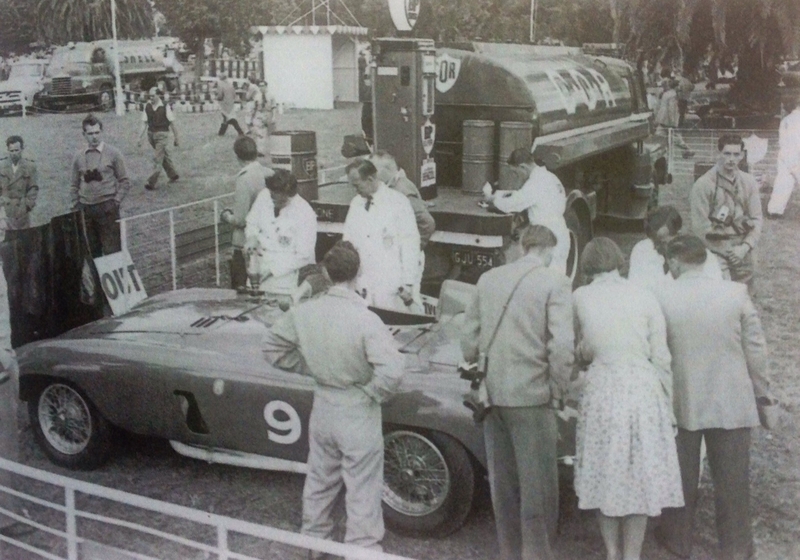 It was rebuilt to do more races in 1951, in October that year Dewis joined Jaguar. 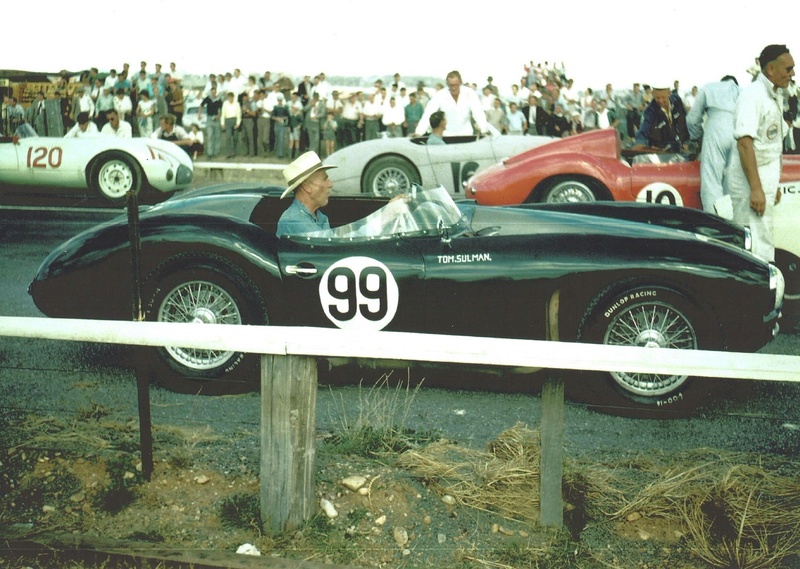 As noted Dewis had been a Jag reserve driver before, but the 1955 Le Mans was his only race/works drive for his Browns Lane employers. 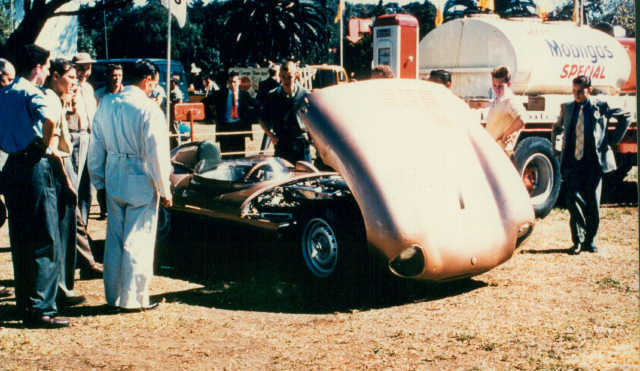 He had done most of the D development work, the result, the long-nose 1955 car. 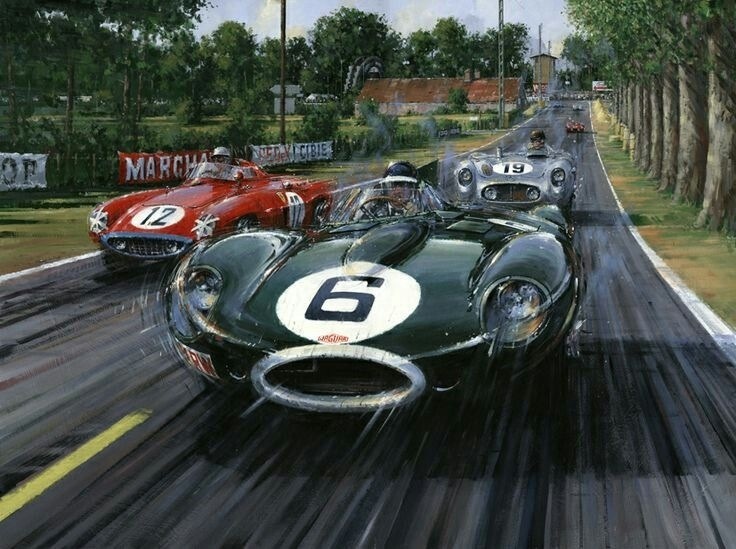 Jaguar’s works 1955 Le Mans entries were for Hawthorn/Jimmy Stewart, Tony Rolt/Duncan Hamilton and Don Beauman/Desmond Titterington. 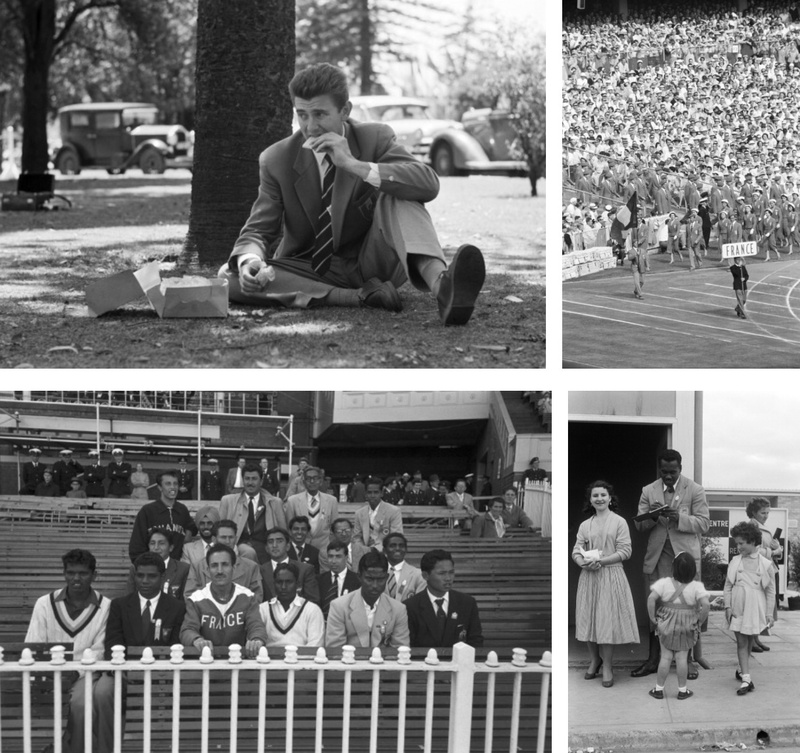 Beauman, an old friend of Hawthorn’s was hired after a test under Lofty England’s watchful eye. 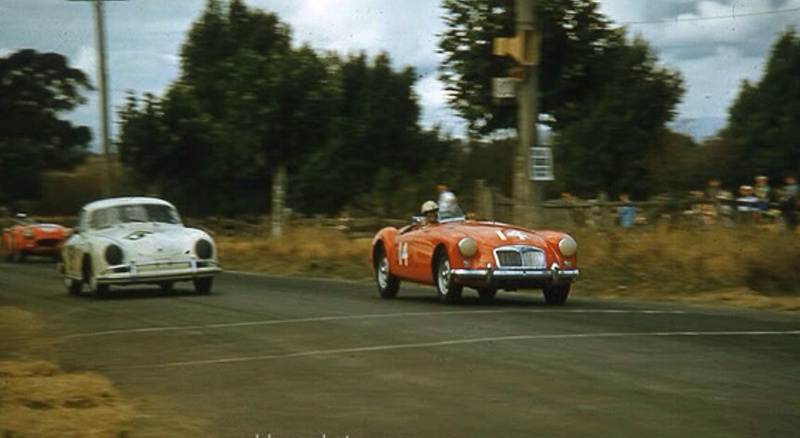 Two weeks before Le Mans Titterington and Stewart crashed their Ecosse D’s during the Eifelrennen at the Nurburgring. 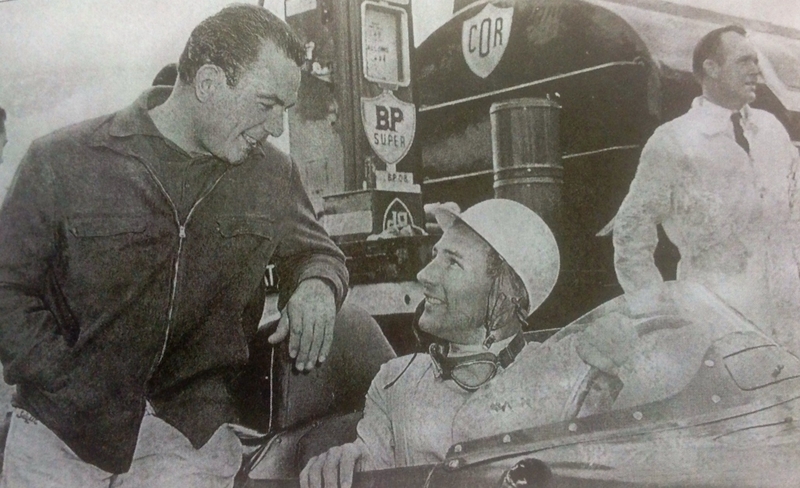 Stewart decided to retire and Des was hospitalised. 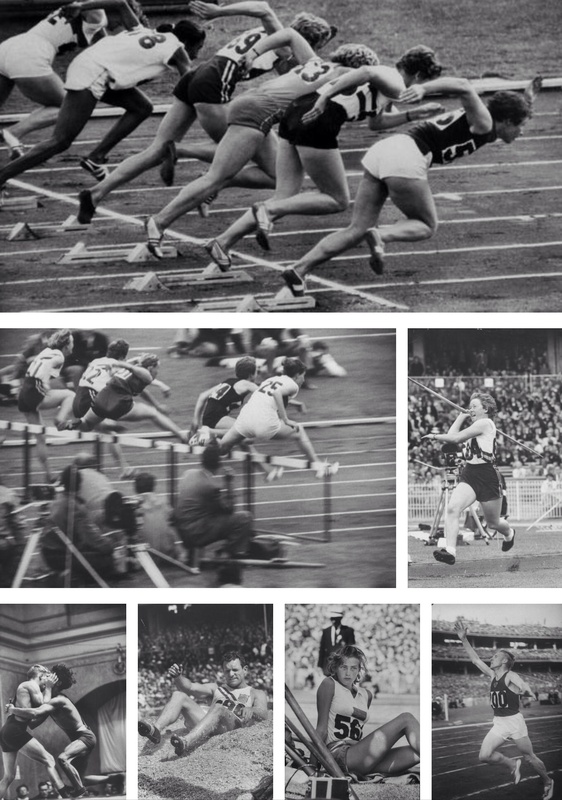 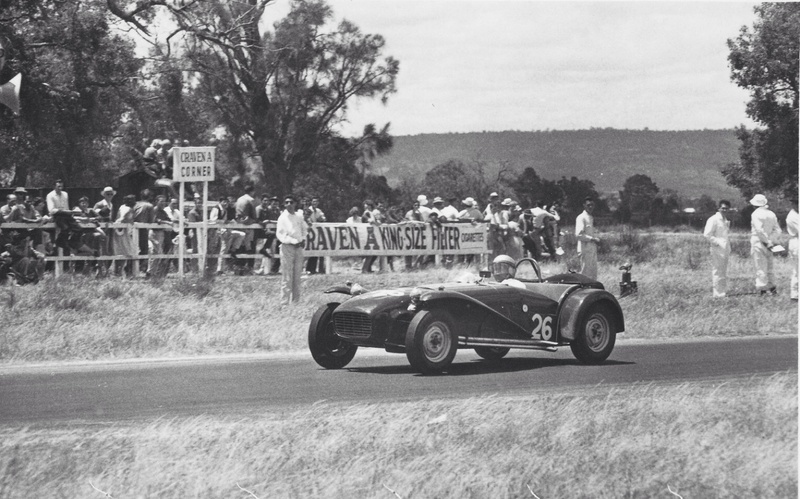 So, days before the race Ivor Bueb was slotted into Hawthorn’s car and Dewis into Beauman’s. 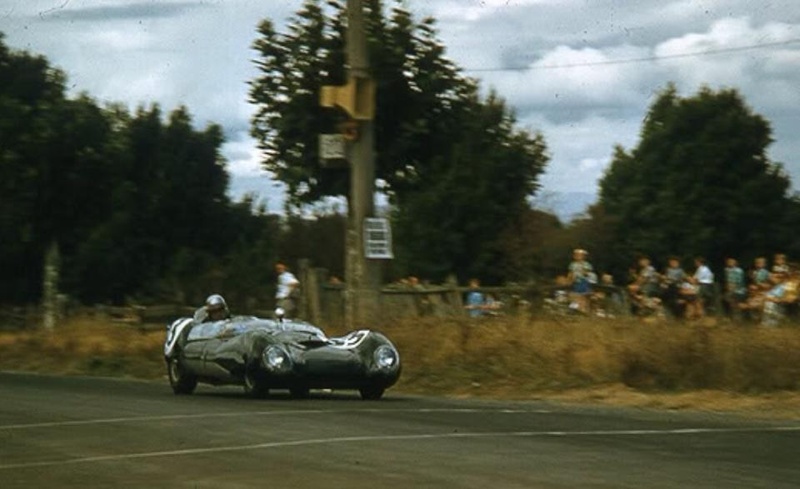 Their car ‘XKD508’ ran as high as 4th before the Mercedes team withdrew their 300 SLR’s but on lap 106 Beauman ‘parked it’ at Arnage and retired it unable to free it from the sand. 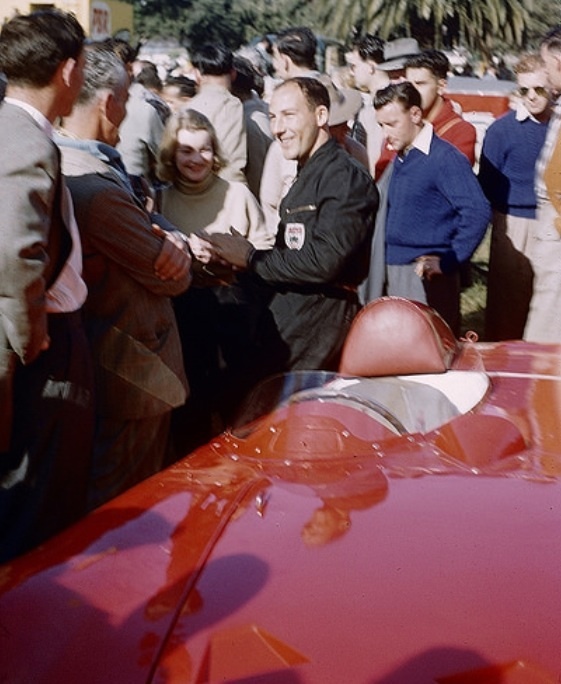 There was a lap between the cars at the end of the race, Froilan Gonzalez shared his Ferrari with fellow GP driver Maurice Trintignant and Duncan Hamilton the ‘D’ with Tony Rolt. 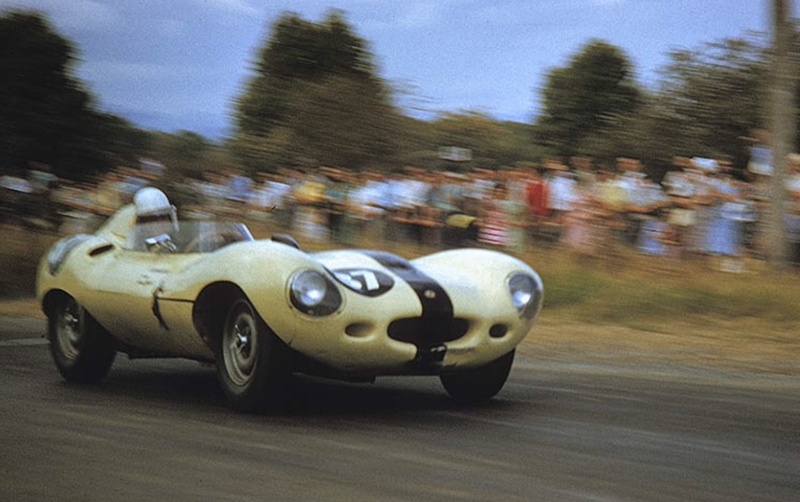 The Brits won the race in an XK ‘C Type’ the year before. 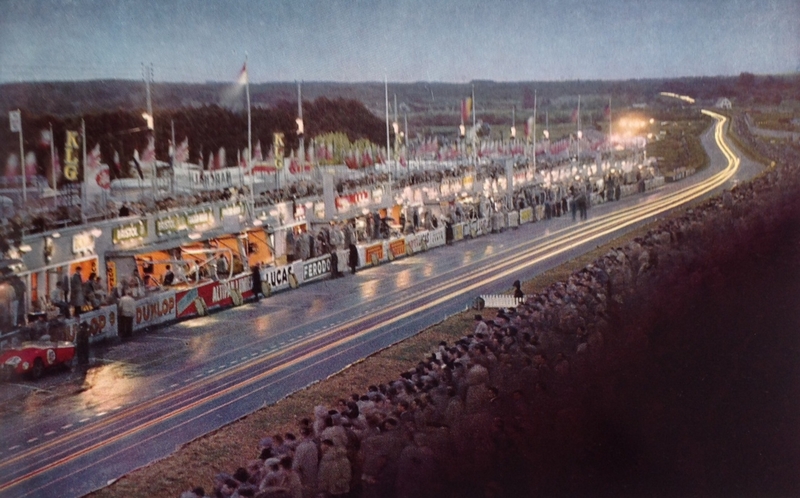 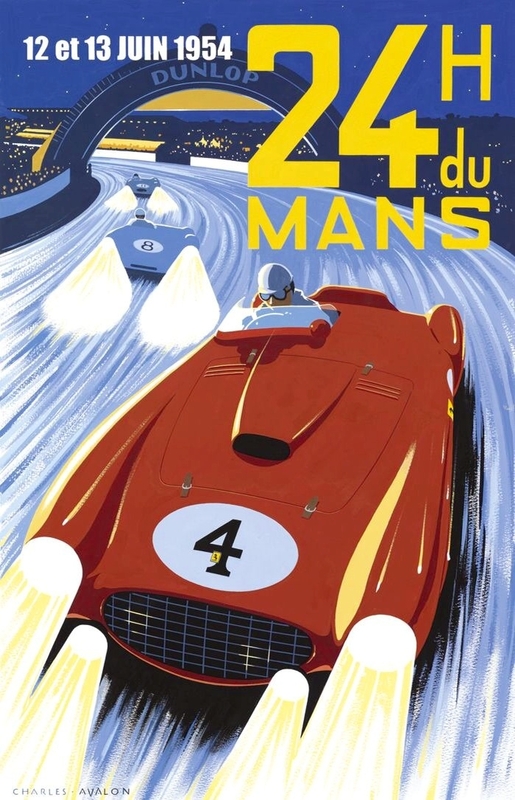 In one of the most exciting events at Le Mans to that point the large lead of the Ferrari was diminished to about 1.5 minutes when the Fazz refused to fire at a pitstop with about 2 hours to go. 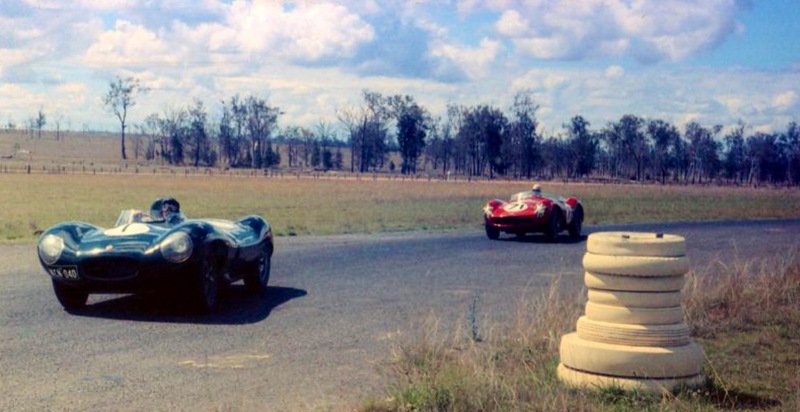 Eventually a flooded magneto head was diagnosed and rectified, the Ferrari sped on to win a famous victory despite the efforts of Hamilton in the final stint. 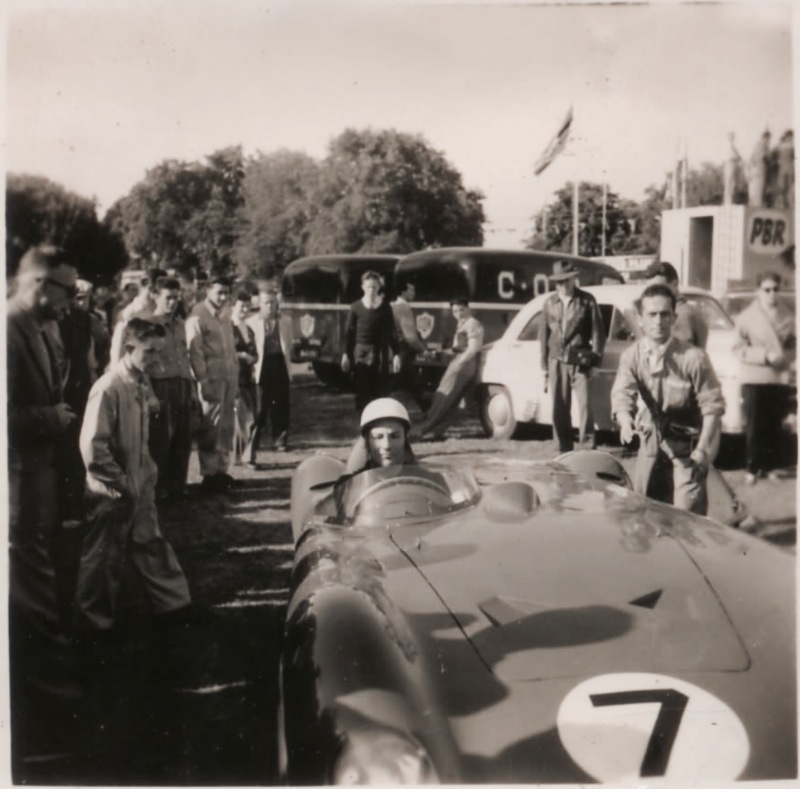 Its Bill Pitt immediately behind Whiteford in a Jaguar D Type with Lou Molina in his Molina Monza Holden Repco on the inside. 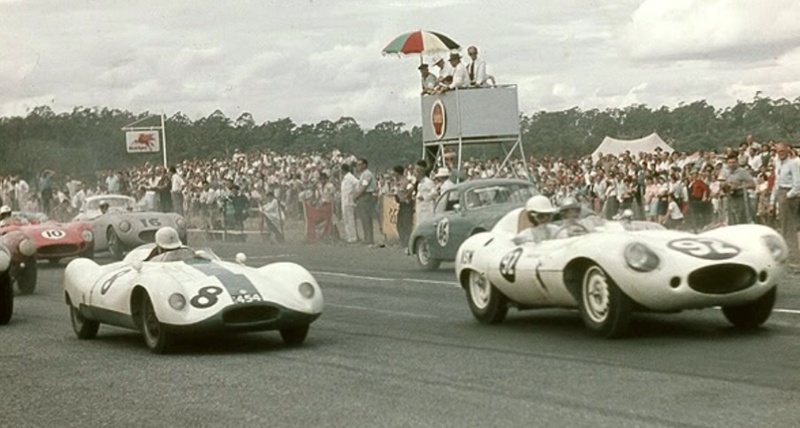 Whiteford and Pitt are lapping Jane and Molina, the latter pair scrapped for much of the race. 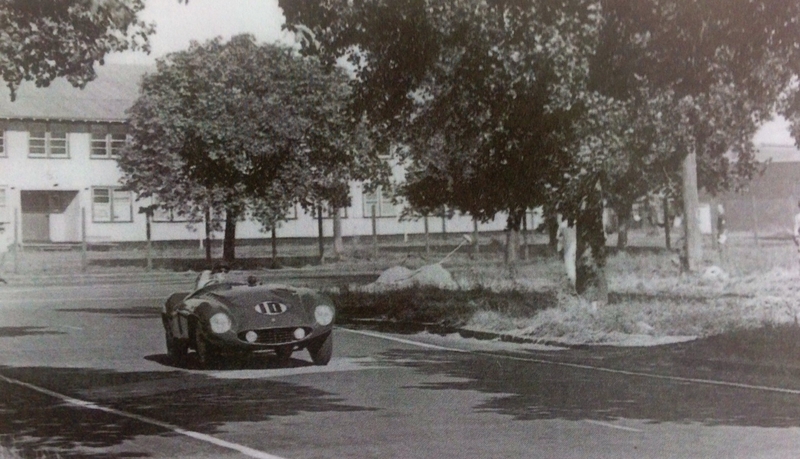 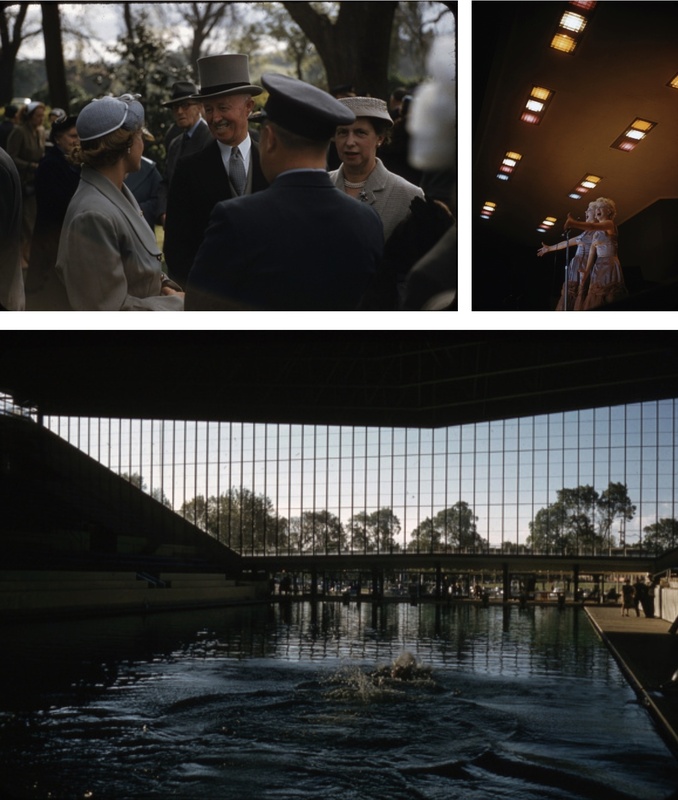 I uploaded an article featuring the clever, technically interesting, Molina Monza the other day. 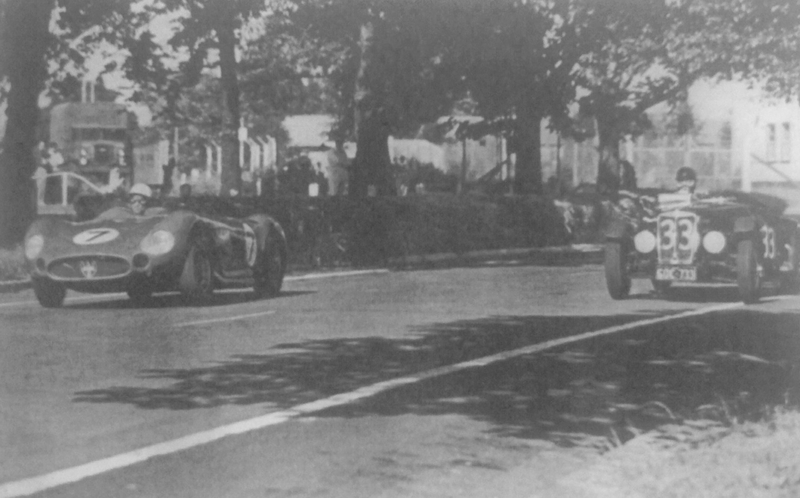 On the 12th lap Whiteford took the lead from Pitt he was not to lose. 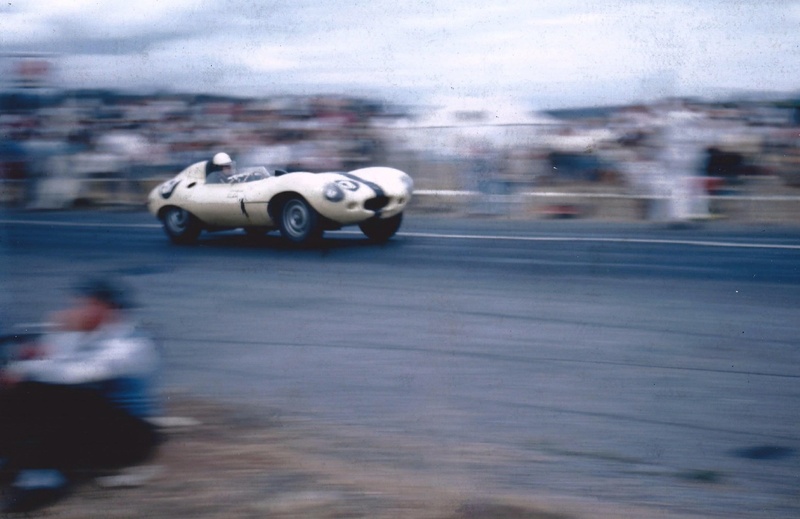 On lap 26 Pitts’ D Type hit the haybales at Jaguar corner, pitting to clear the rear guard from a wheel. 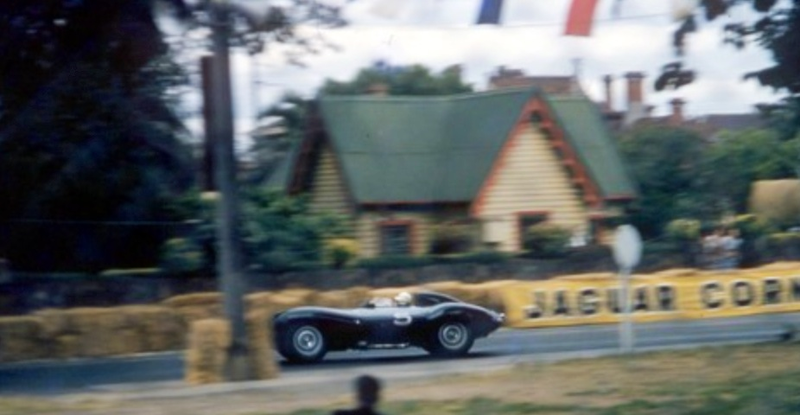 Ron Phillips took his Cooper Jag through to second. 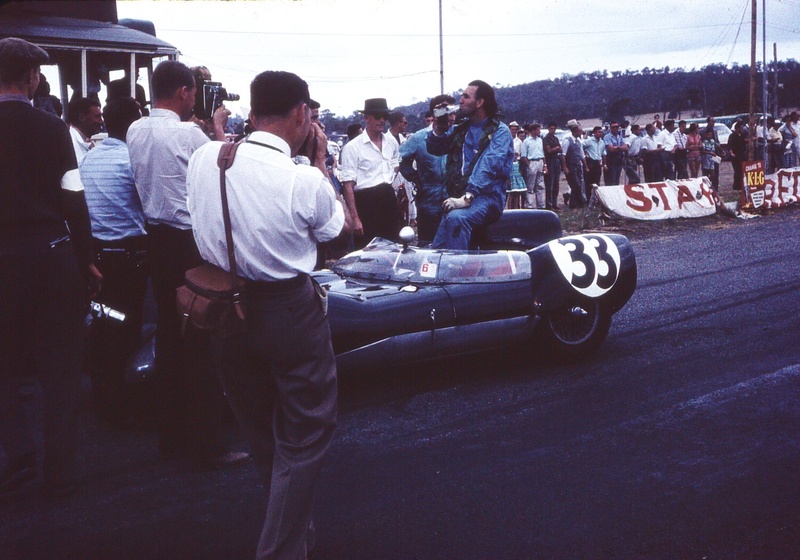 At the finish it was Whiteford from Phillips, Pitt, Derek Jolly in a Lotus 15 Climax and Bob Jane. 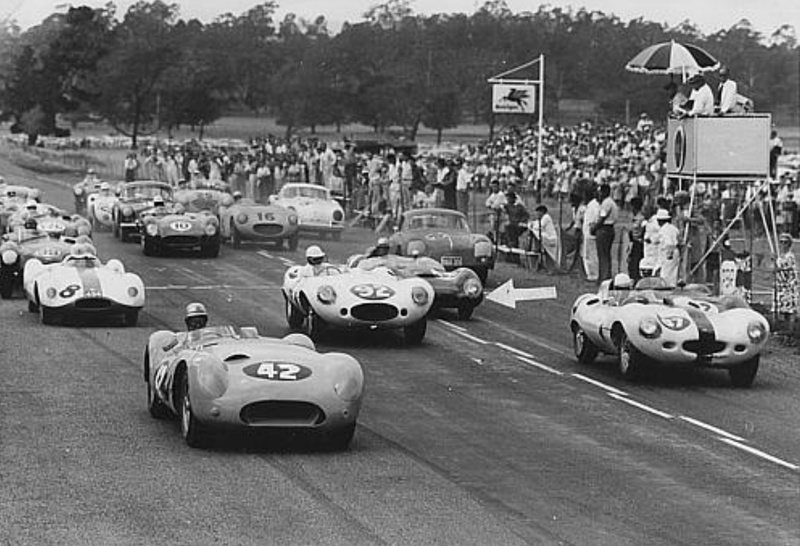 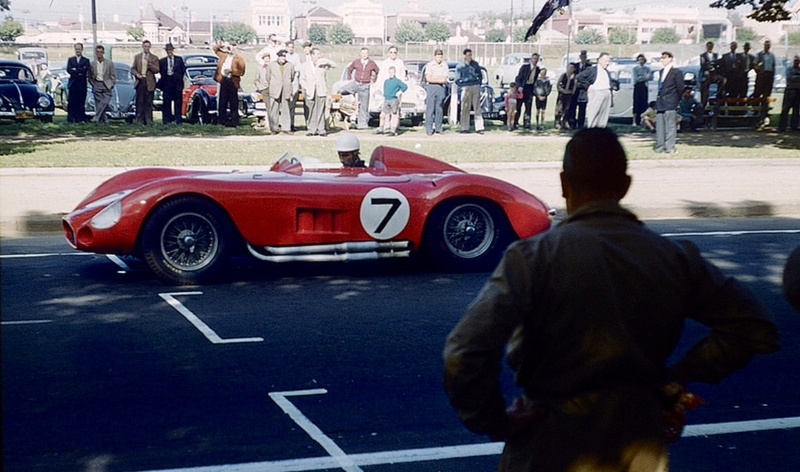 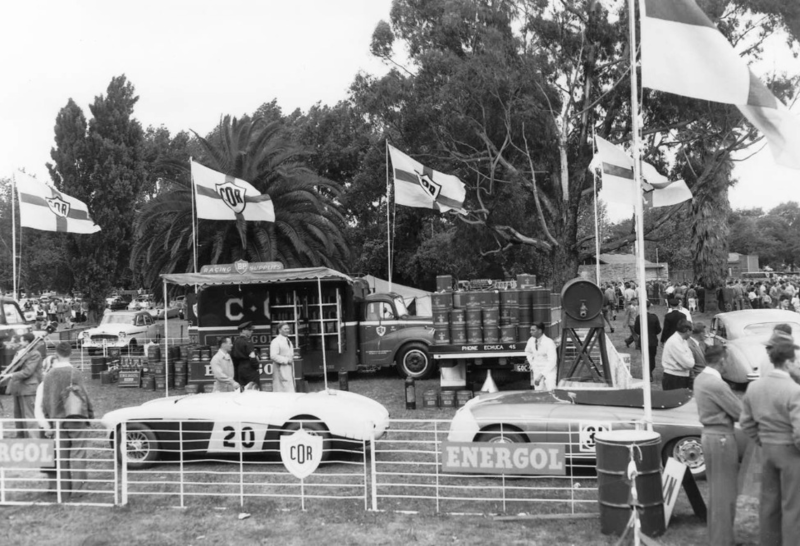 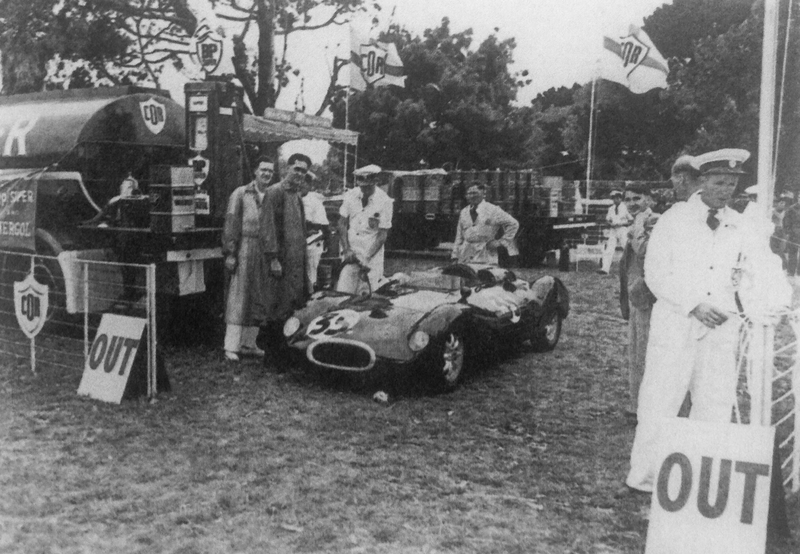 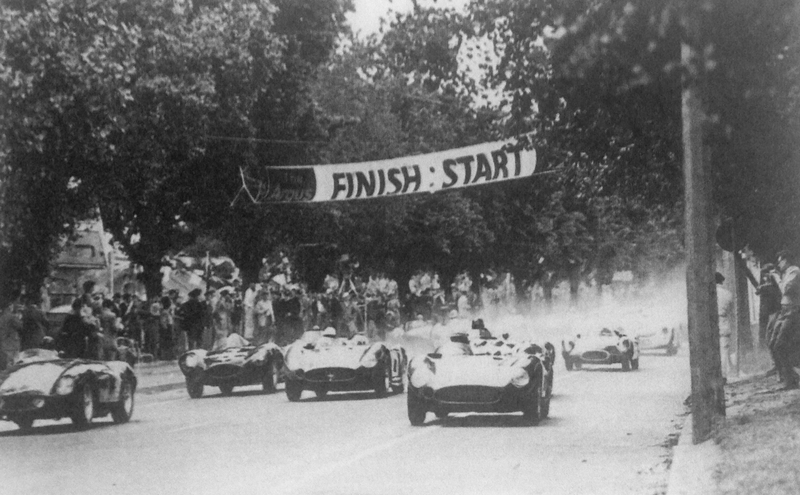 The Maserati team brought 5 cars to the 1956 Australian Grand Prix held at Albert Park, 3 250F’s and 2 300S which were driven by Stirling Moss and Jean Behra, Moss won the AGP. 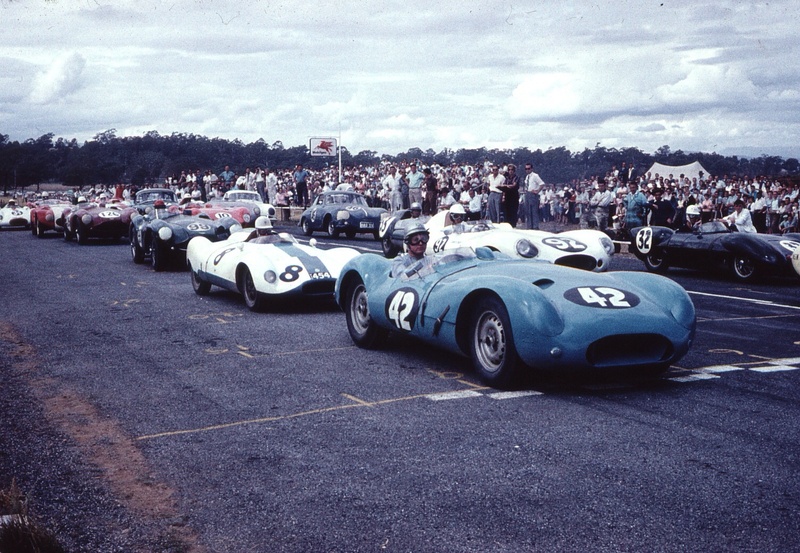 At the end of the meeting the 300S’ were acquired by former AGP Winner, Doug Whiteford and Reg Smith, a Melbourne racer/motor dealer. 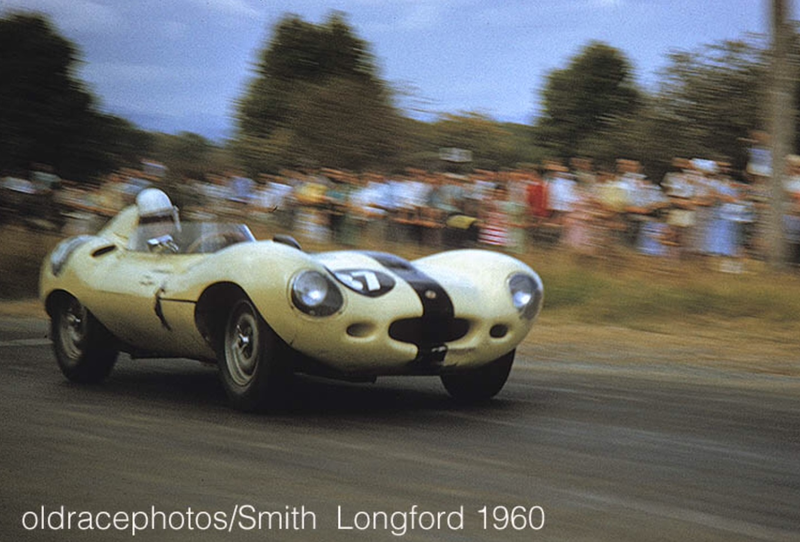 Smith raced the car little and soon sold it to future Touring Car Champion, very successful businessman and Calder Circuit owner Bob Jane. 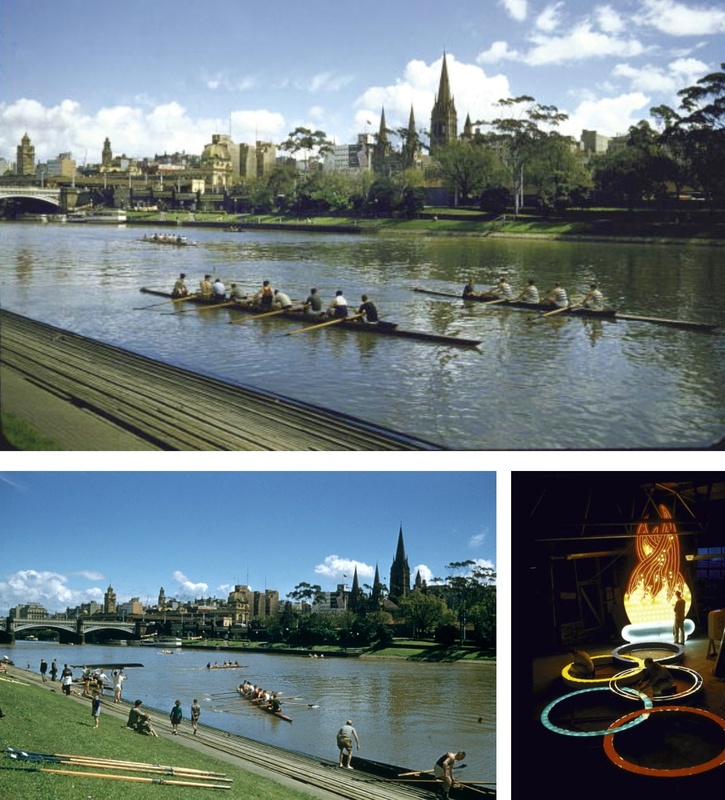 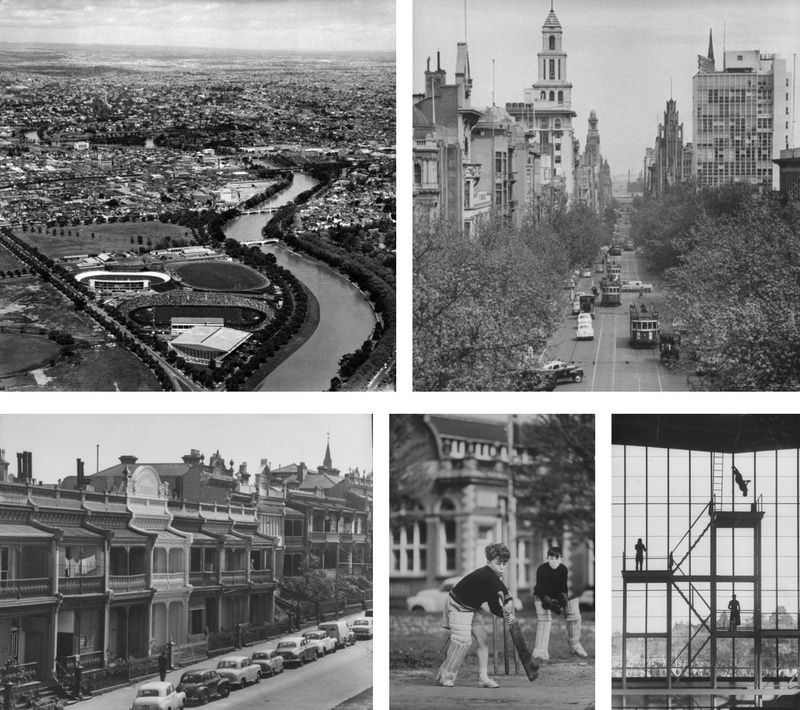 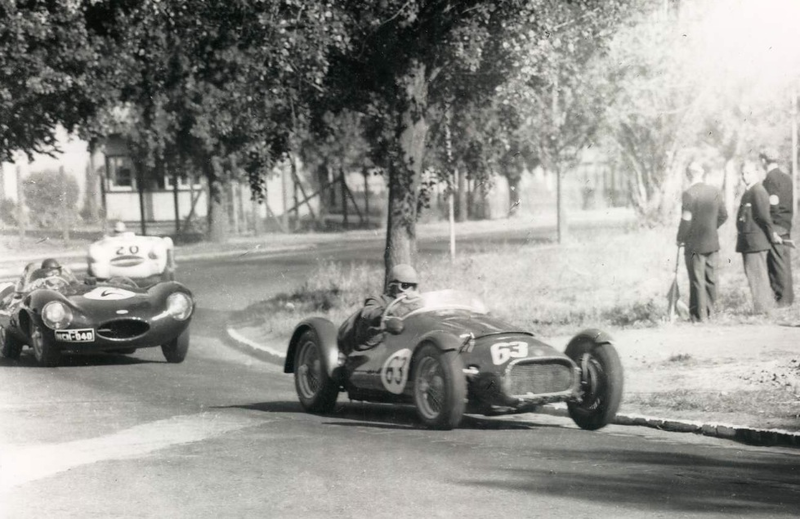 Bobs’ driving was ‘pretty rough and ready’ at this stage, fellow racer Reg Hunt was moved to shift his boat further into Albert Park Lake to keep it out of harms way…Jane quickly got the hang of the car and was competitive in it. 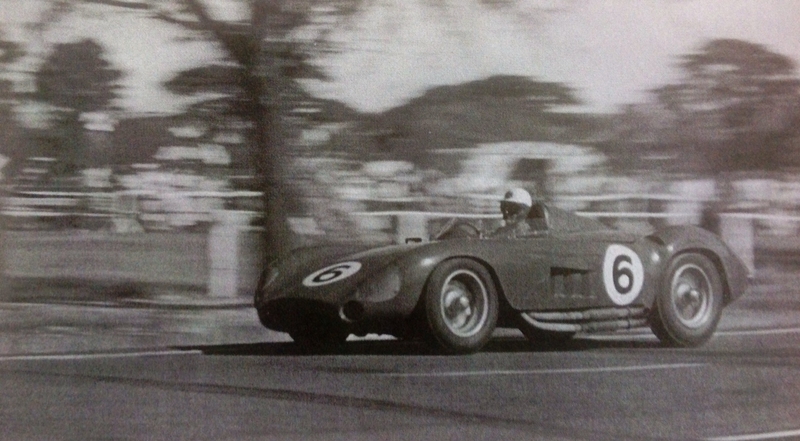 Whiteford bought the ex-Behra 300S #3055 which sort of made sense as an outright car as the AGP was run to Formula Libre at the time. 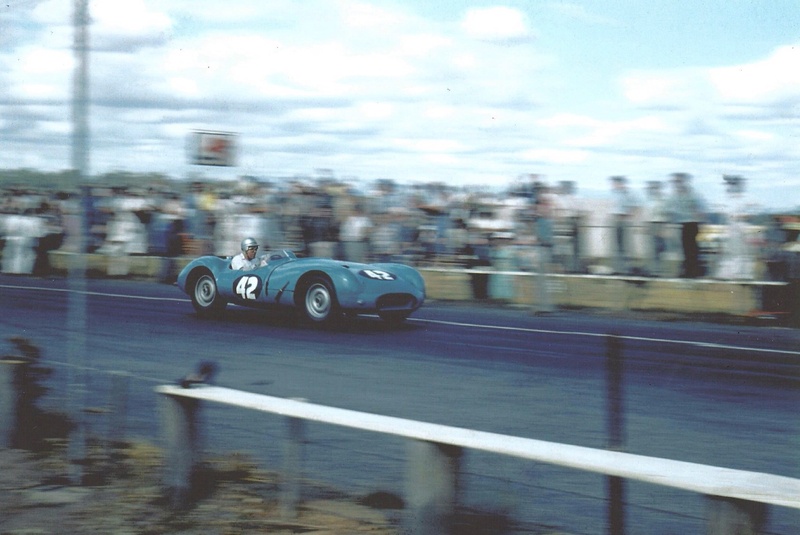 A great ‘mighta been’ would have been Doug in a 250F taking on the other front runners at the time; Stan Jones, Reg Hunt, Lex Davison and Ted Gray in an equivalent car…’twas not to be sadly. 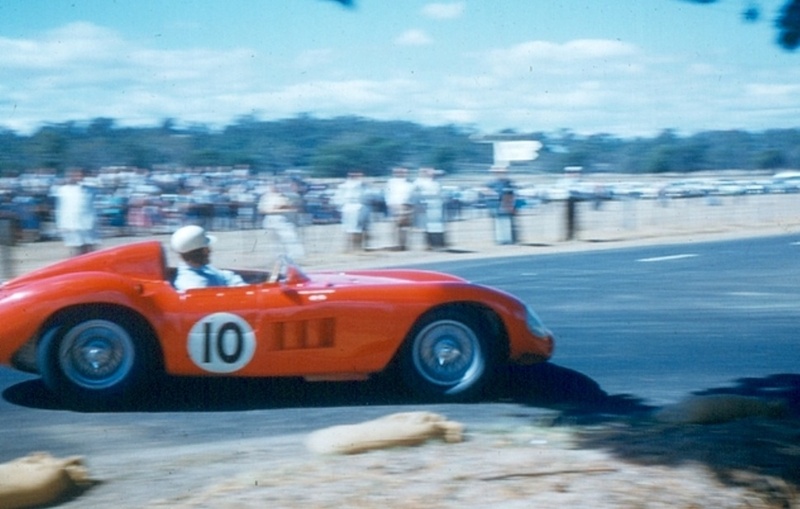 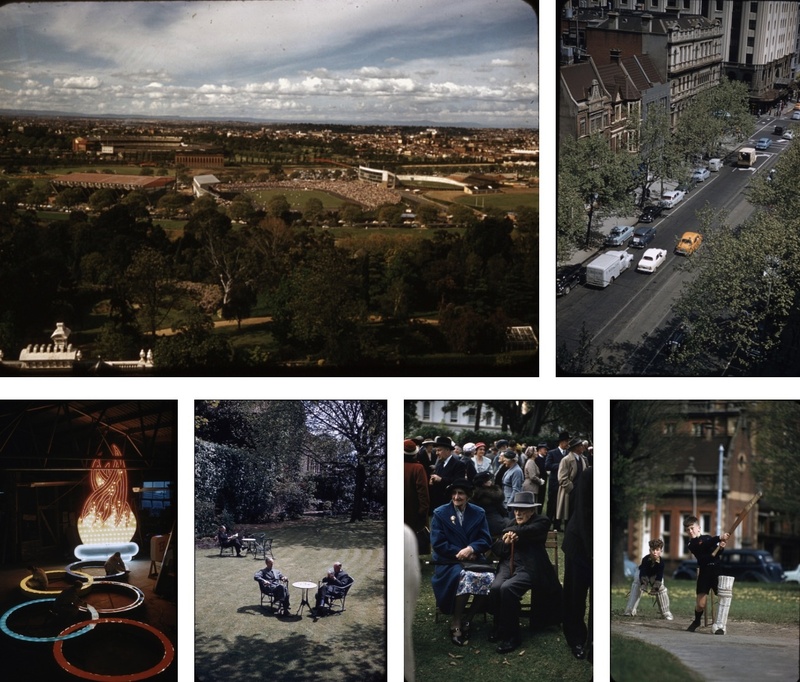 Bob Jane pictured above and below in his ex-Moss 300S #3059 on his debut meeting in the car at Fishermans Bend, in the inner western suburbs of Melbourne, October 1958. 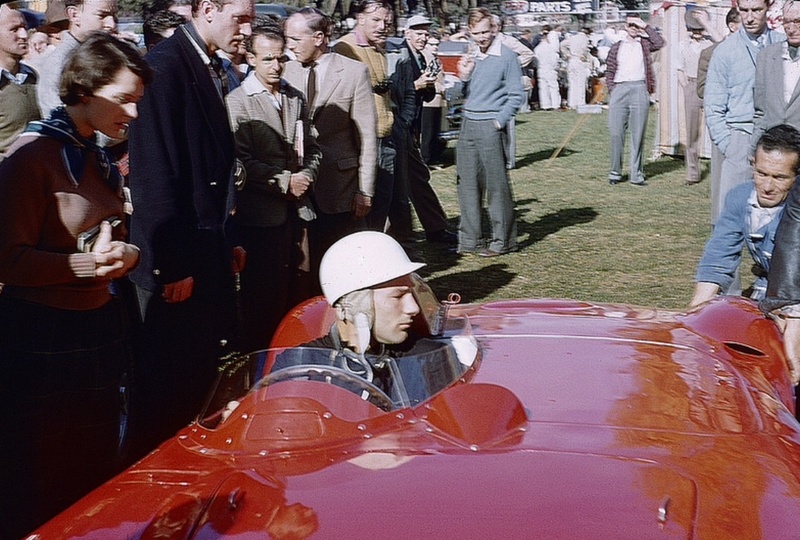 The 250F Grand Prix engine would not stretch to 3 litres, 2.8 litre variants of the 300S were built and were uncompetitive so Maserati built in essence a bigger version of the 250F engine, using the 250F head. 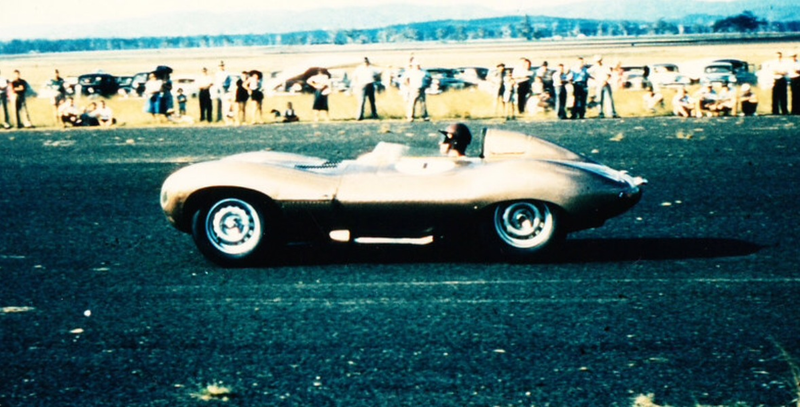 6 cylinders in line, 2992cc DOHC. 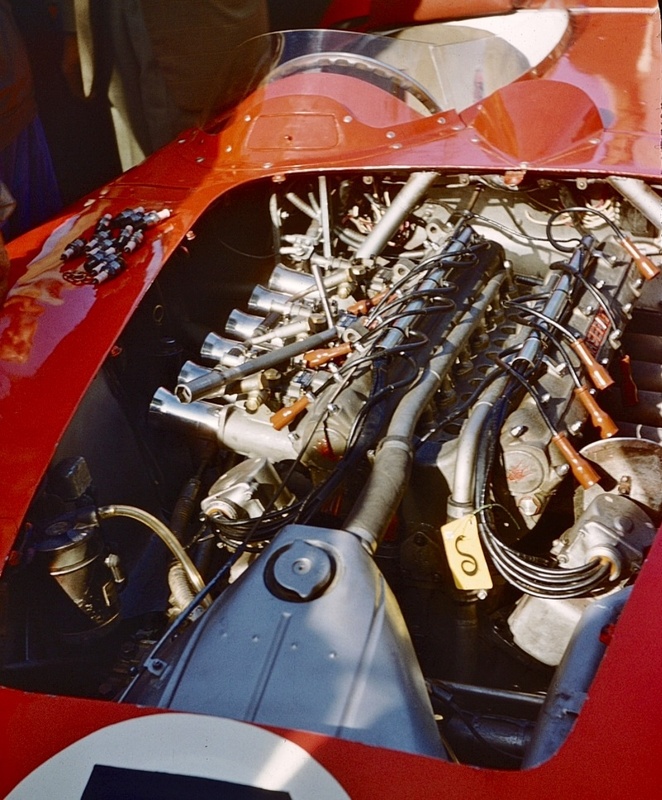 The 2 valves per cylinder, 2 plugs per cylinder engine developed circa 280bhp @ 7000rpm. 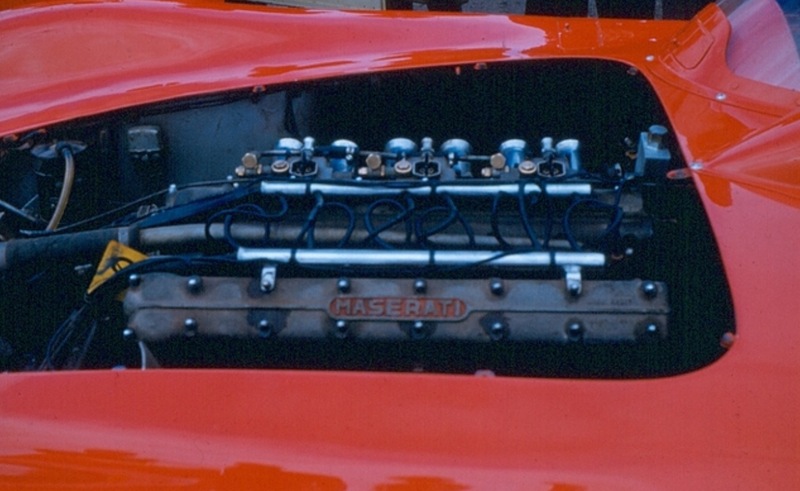 It was fed by 3 Weber carbs, initially 42 and later 45DCO3’s. 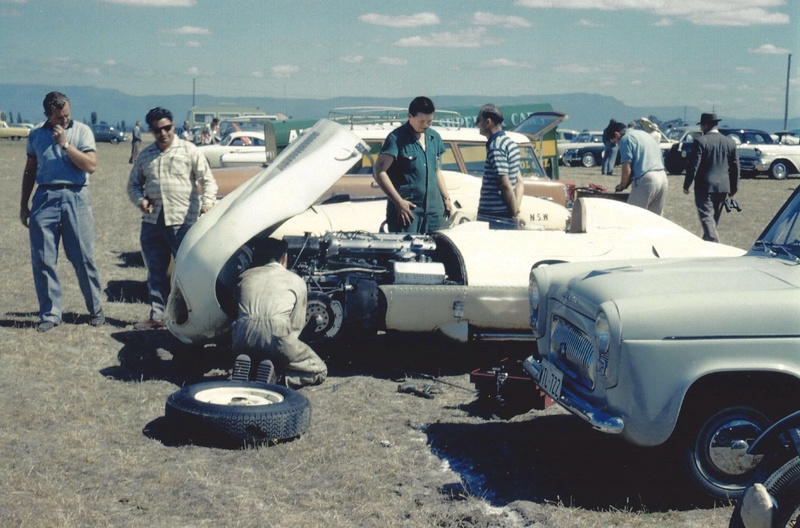 The gearbox was a ZF 4 speed. 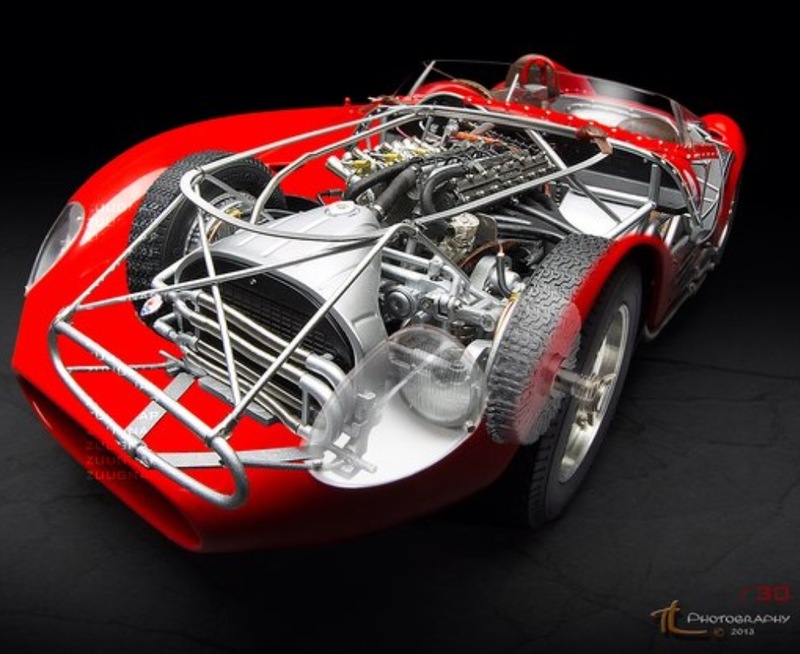 The chassis was a ladder frame made with large diameter main tubes, front suspension by upper and lower wishbones and coil spring/damper units and a roll bar. 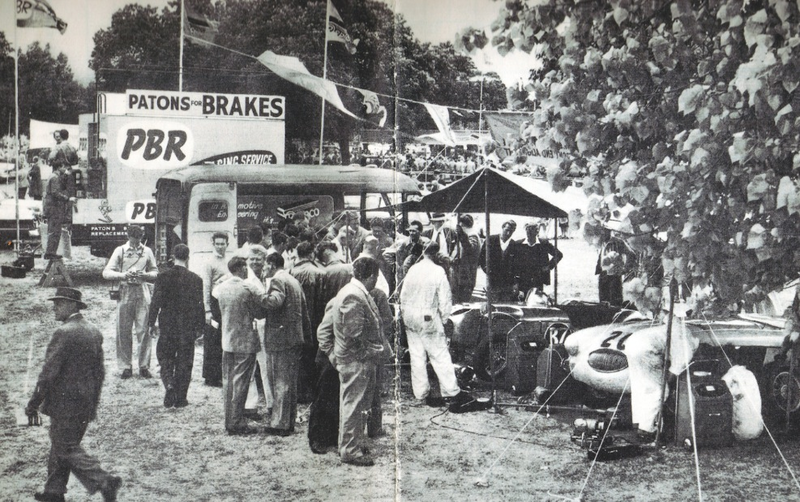 A de Dion rear axle was used with a transverse semi-elliptic leaf spring and hydraulic shocks. 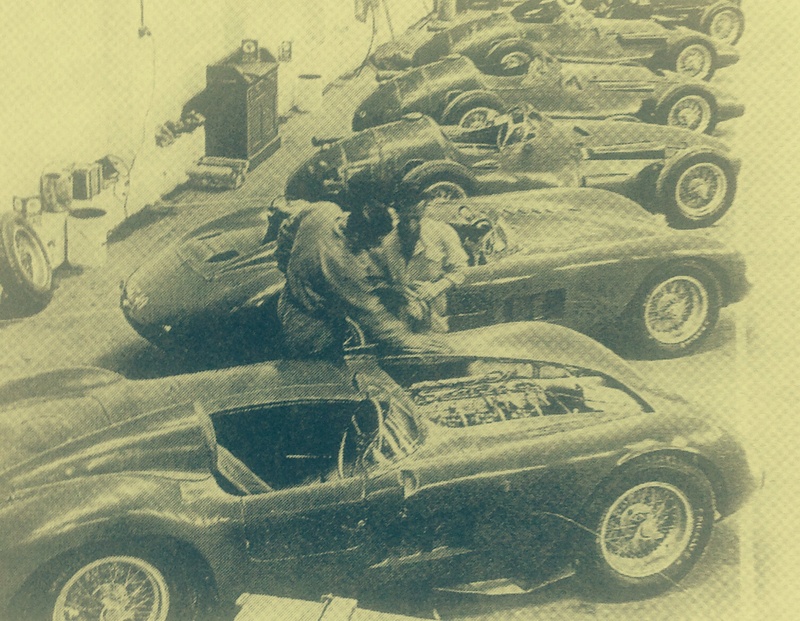 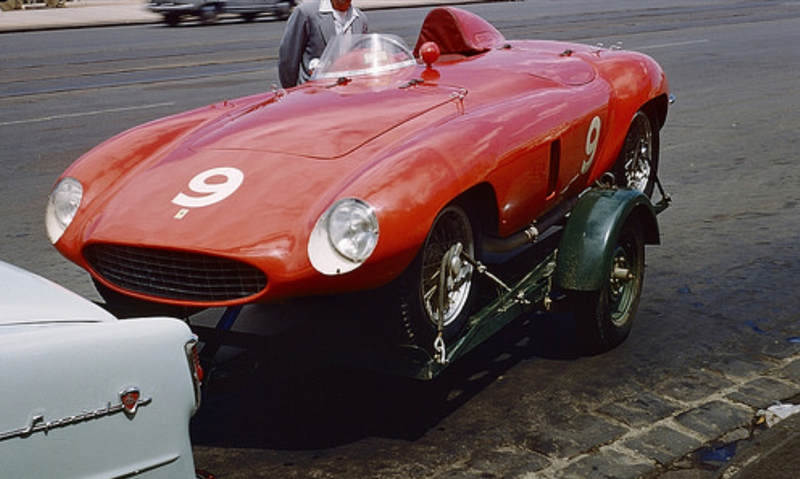 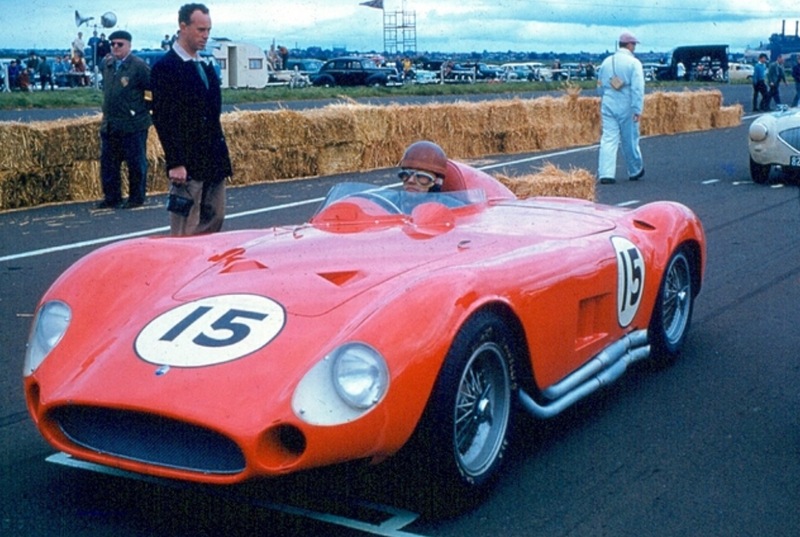 The first cars were built by Maserati, later assembly was outsourced to Gilberto Colombos’ specialist company, Gilco. 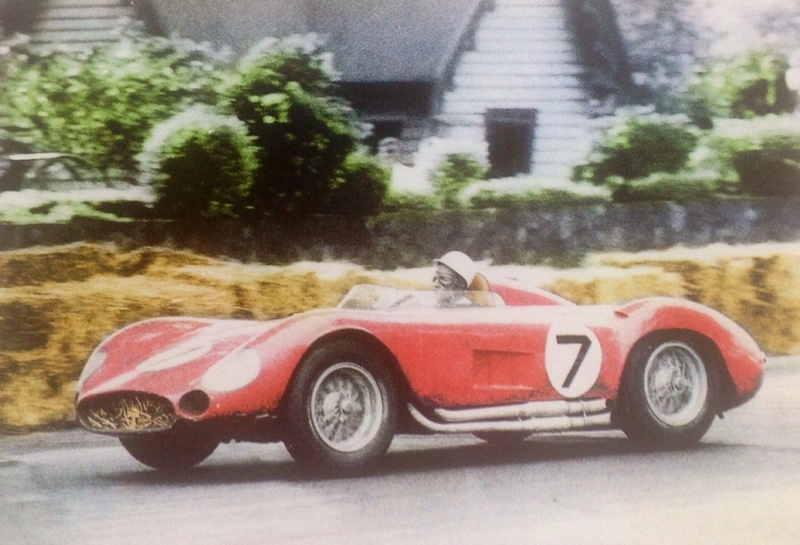 Steering was worm and sector, brakes huge finned alloy drums, wheels Borrani 5X16 inch wires, the aluminium bodies built by Fantuzzi. 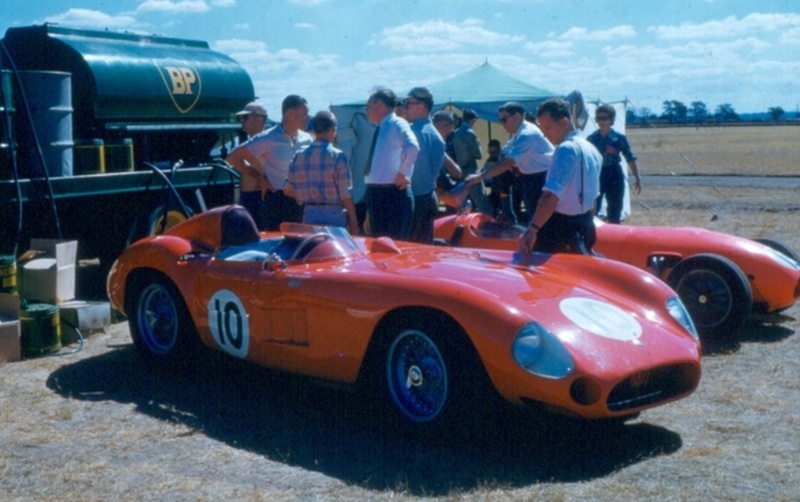 The car weighed circa 780Kg. 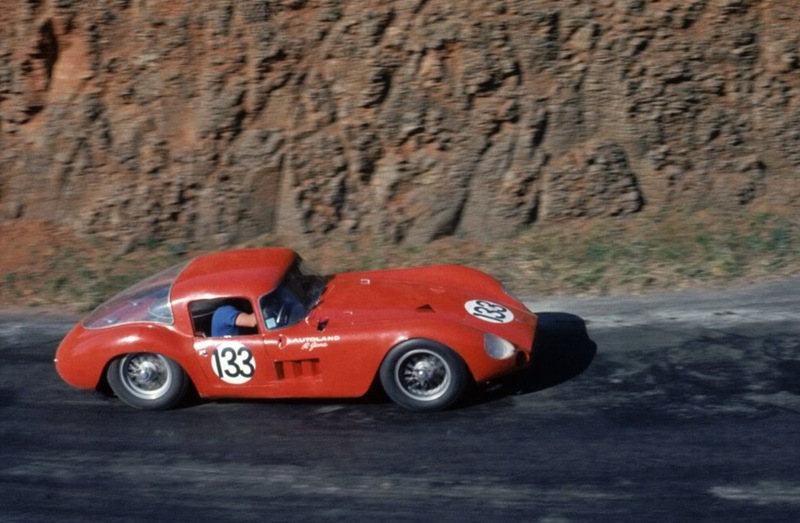 26-28 cars were built between 1955-1958 depending upon the reference source…Whilst the cars were built in large numbers and were favourites of privateers they were not particularly successful at an International level, winning the 1956 Buenos Aires 1000Km and 1956 Nurburgring 1000Km. 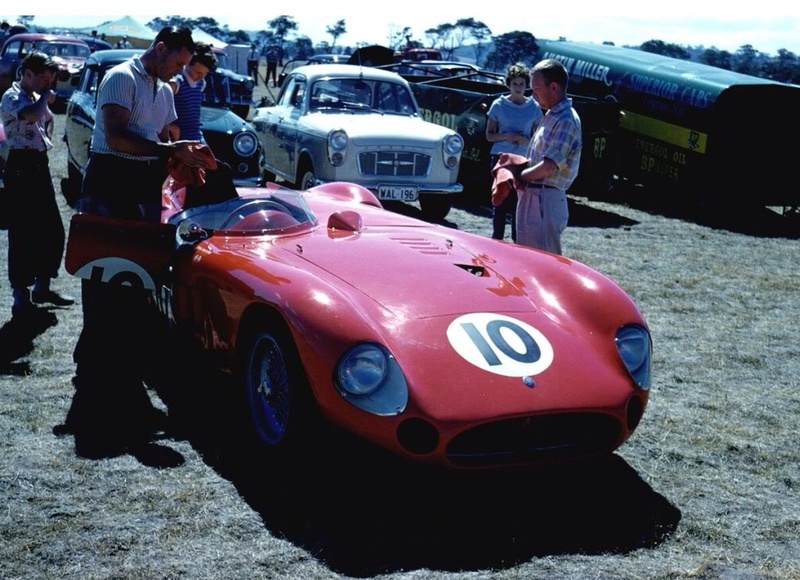 When first built the 300S was outgunned by competitors with greater capacity and when the 3 litre limit was mandated for sports cars by the CSI in 1958 they were getting a little ‘long in the tooth’ compared with the Ferrari 250TR and Aston Martin DBR1. 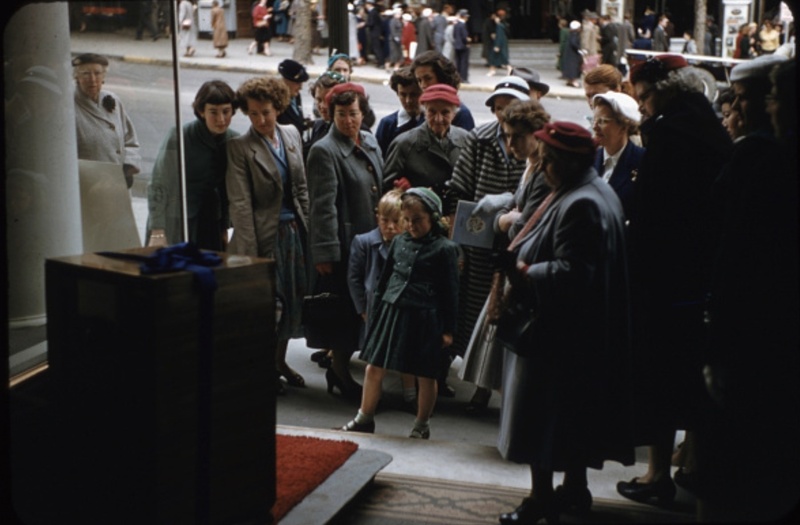 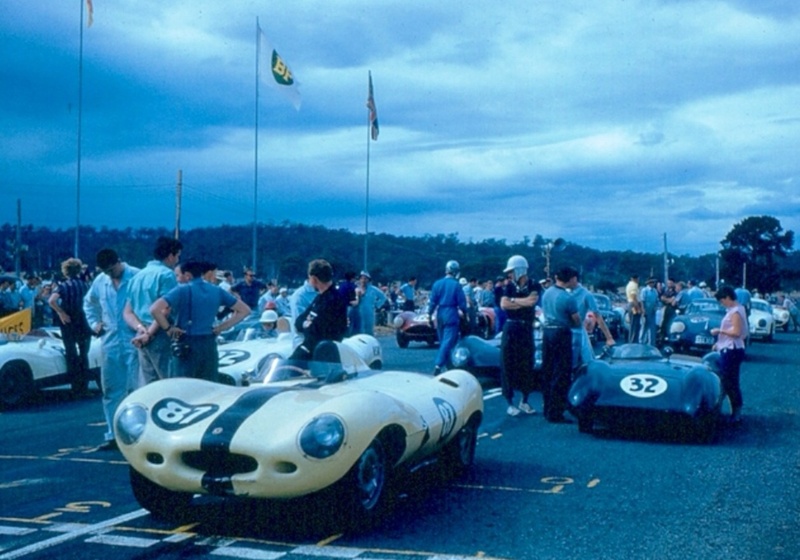 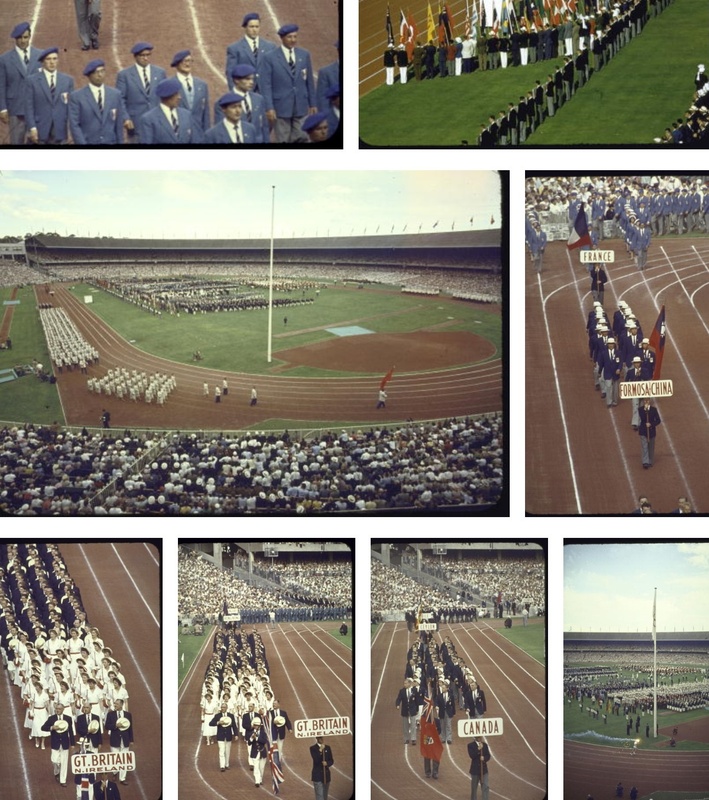 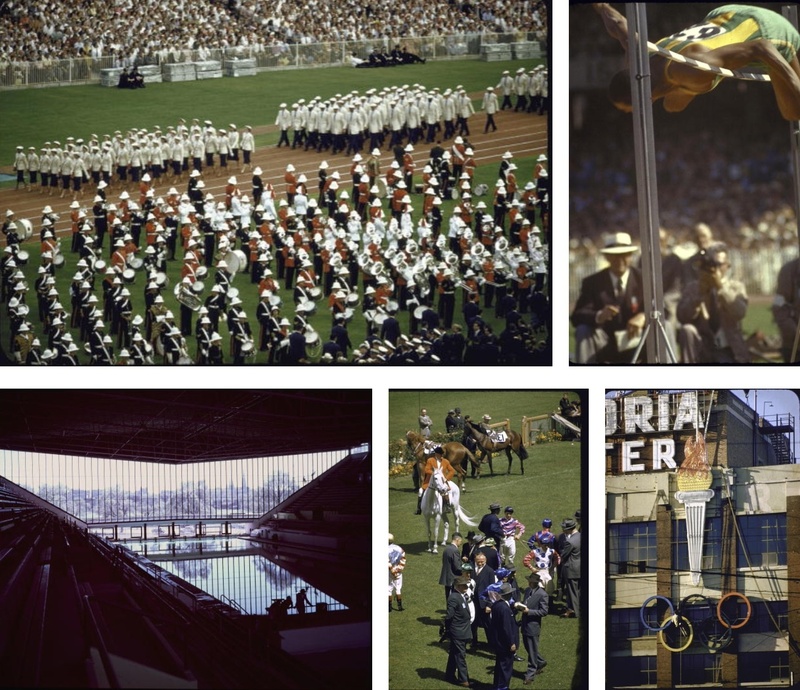 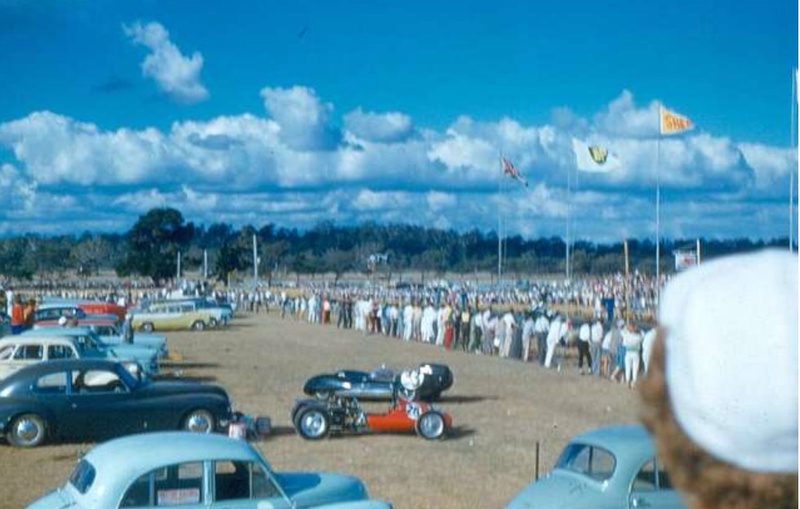 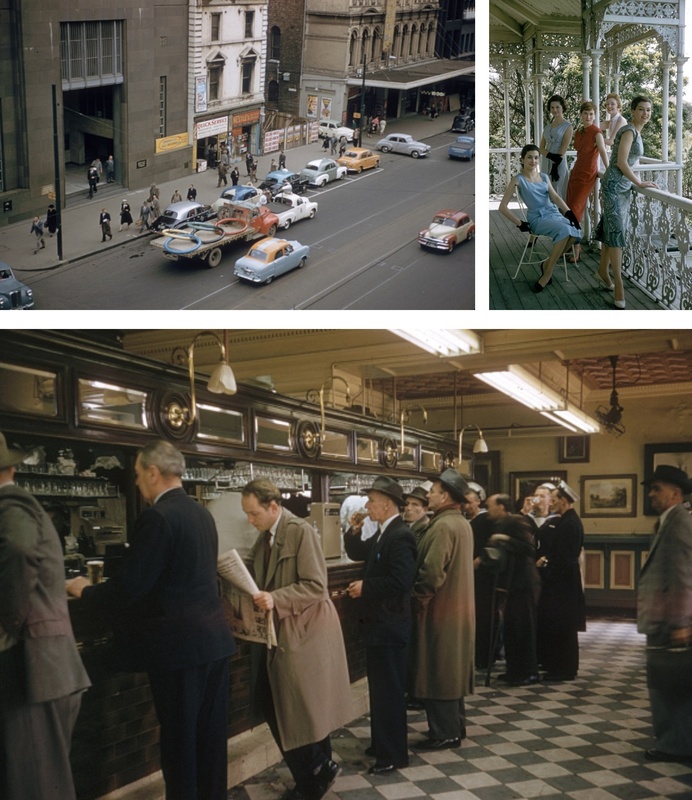 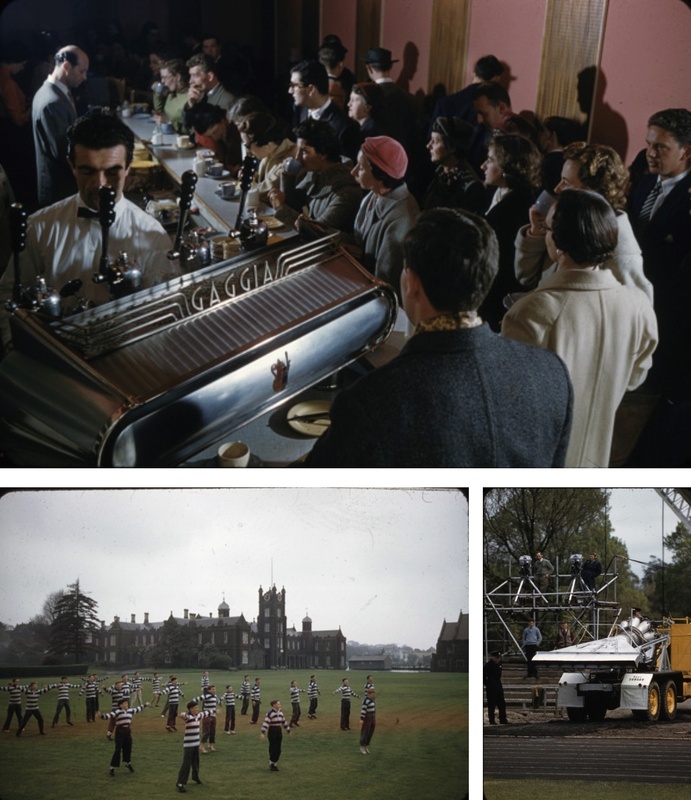 They were very useful, competitive, relatively simple devices in places like Australia where the cars of Jane and particularly Whiteford were crowd drawcards from 1956 to 1963. 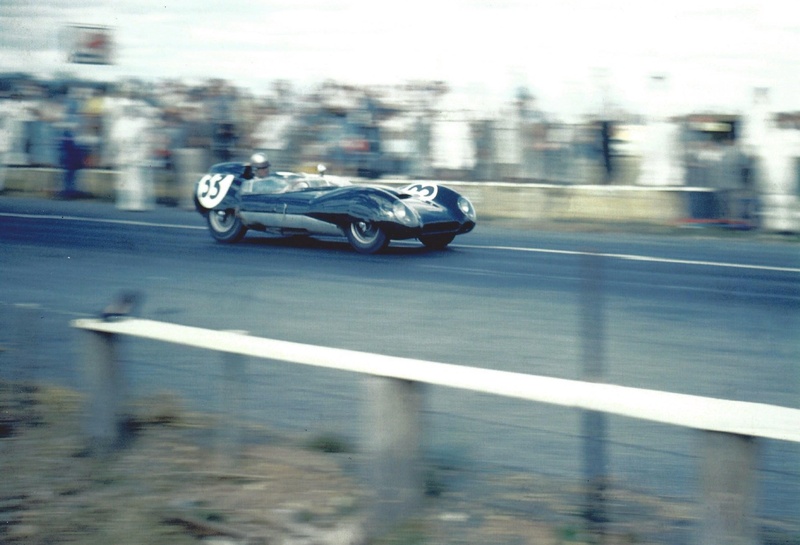 Bob Jane raced many mouth-watering cars over the decades, he is still alive and has retained many of them, including the 300S for decades after the end of its competitive life, it was sold some years ago. 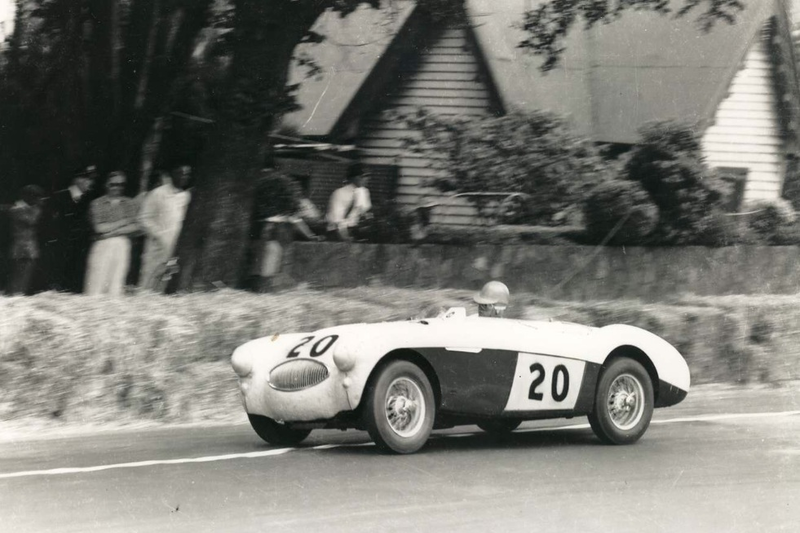 Australias ‘Appendix K’ or GT rules at the time mandated cars with ‘lids’, as a consequence Janes’ 300S grew this appendage, which is not too catastrophic in the context of some other efforts to comply with the rule change at the time. 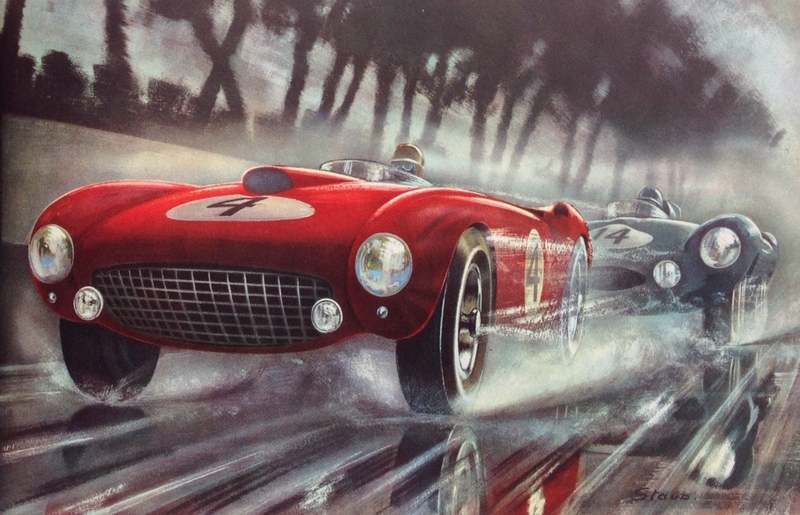 The Fantuzzi original is rather nicer all the same. 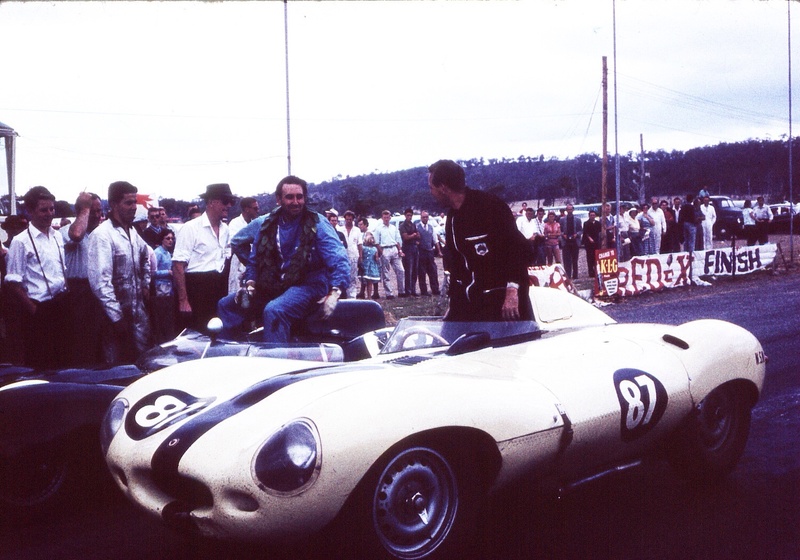 When Janes’ team rebuilt the car in the mid-seventies it was restored, superbly to its original specs. 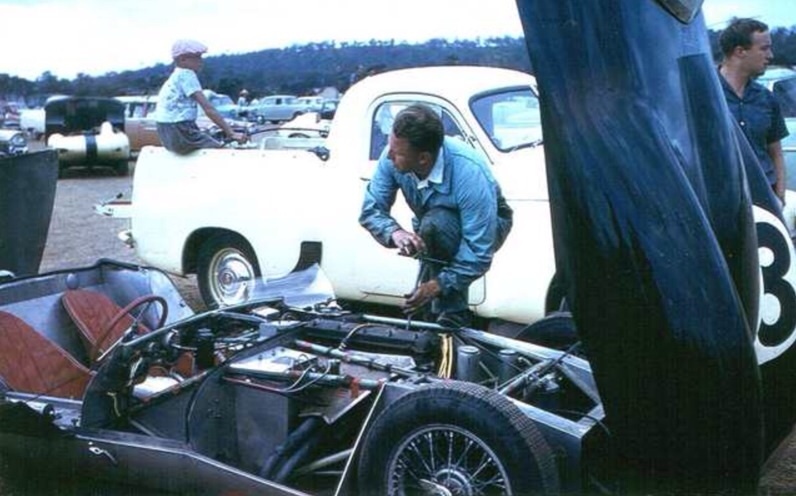 The car left Australia in the early 90’s, the current custodian appears to be Klaus Werner.